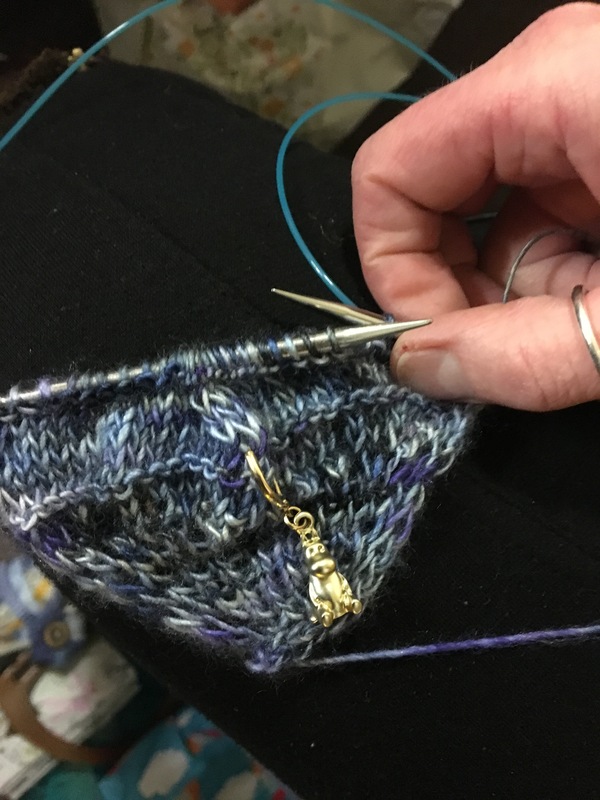 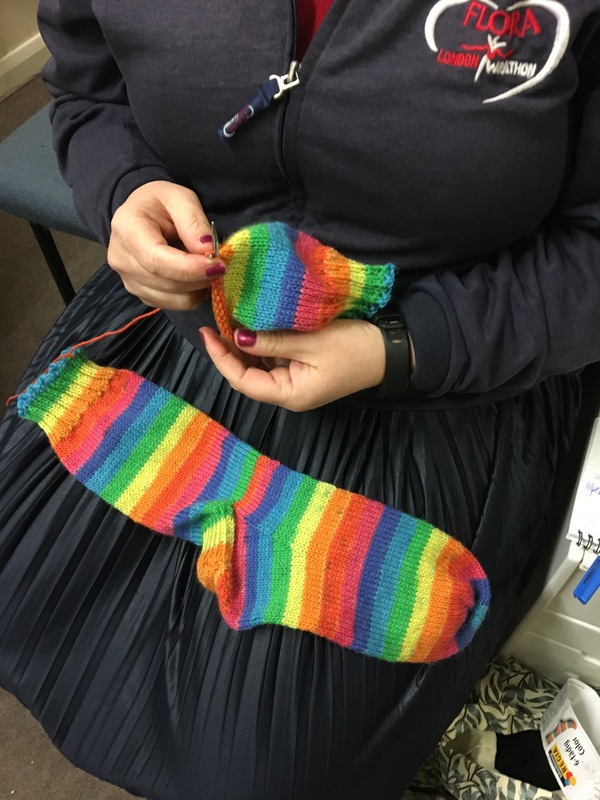 February 2017 – The haberdashery Blog. 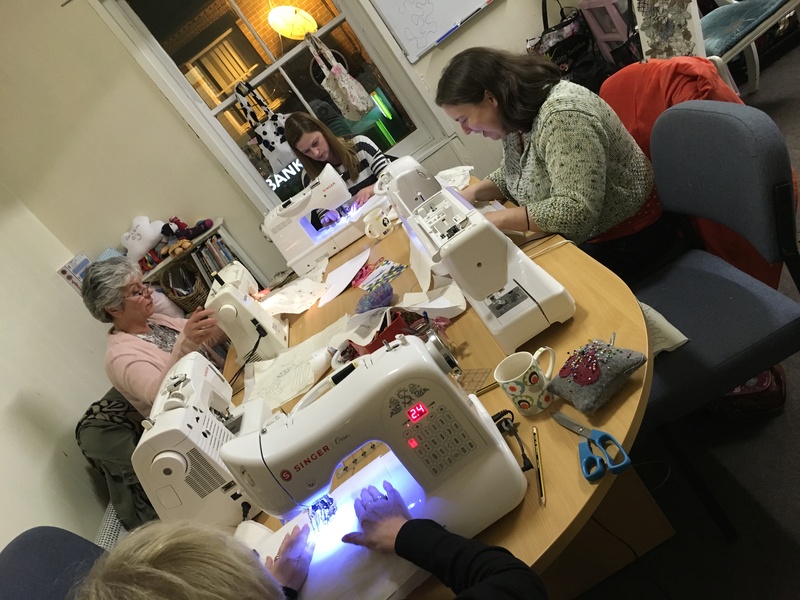 The workshops have continued to be a huge success again this year with so many of you wanting to learn a new skill. 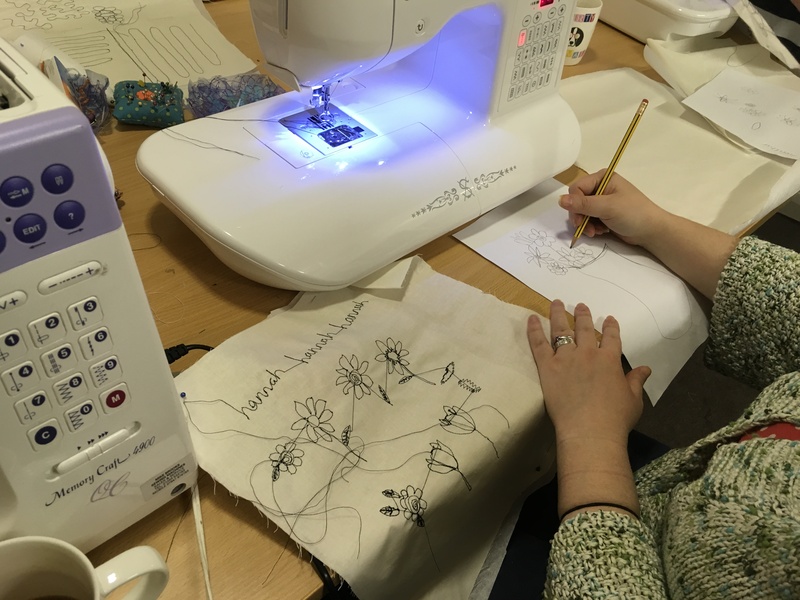 With many workshops being fully booked I’m sitting down on Monday to plan more dates for April, May and June. 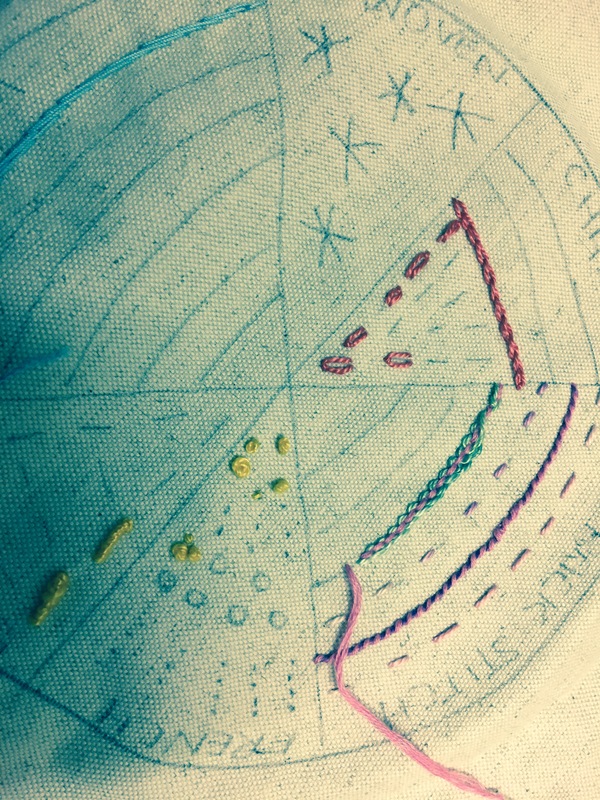 You can subscribe to my mailing list on the website http://www.simplyneedlecraft.com to be first to see the dates. 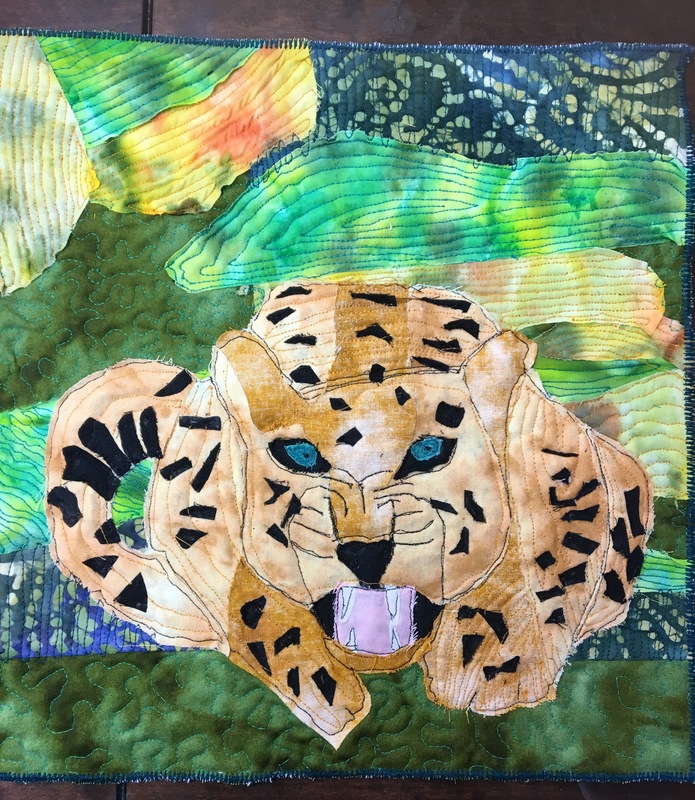 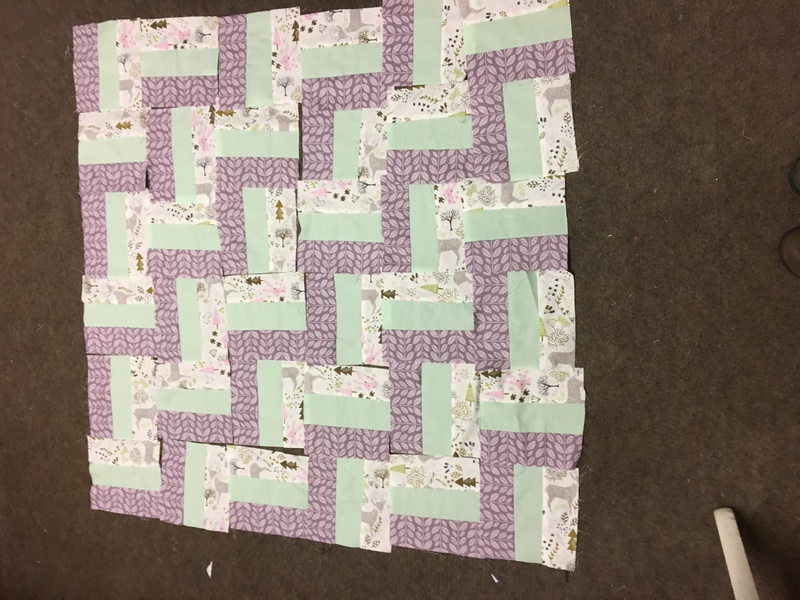 We’ve had a few workshops over the last week…..
Then my ladies finished their quilts on the quilting course. 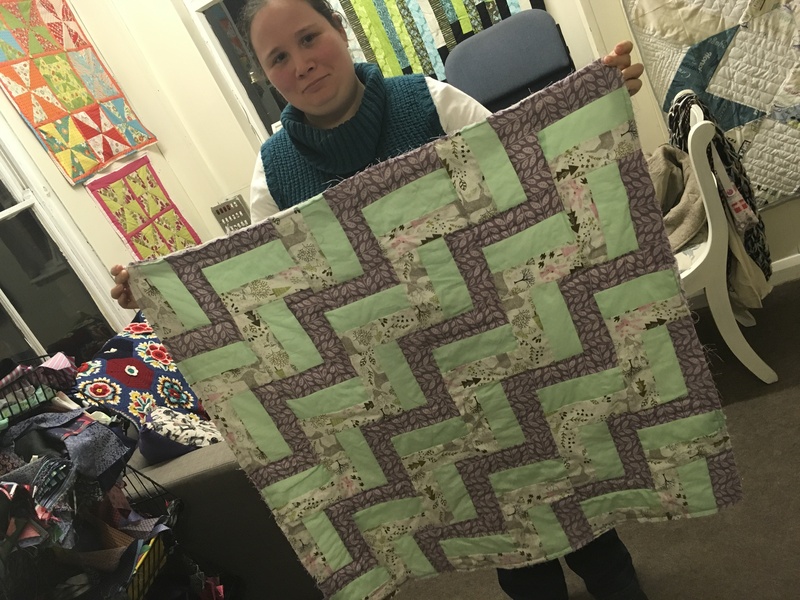 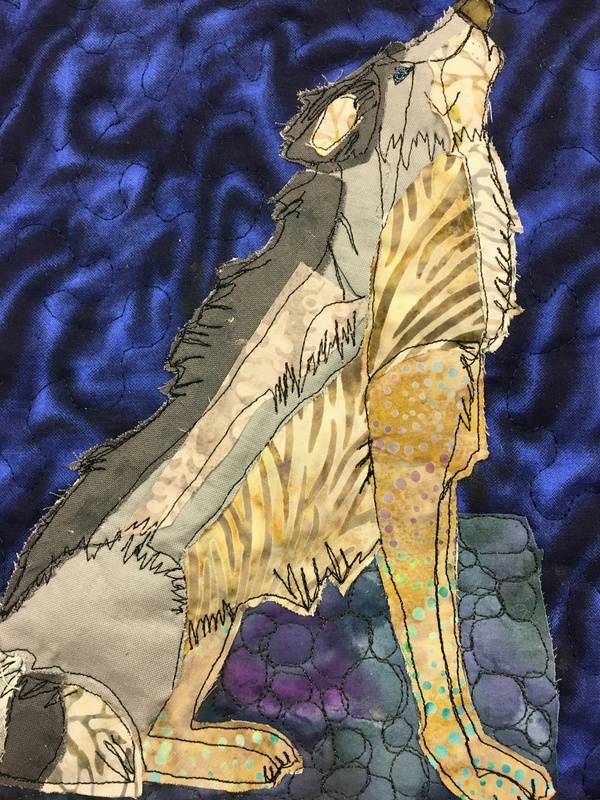 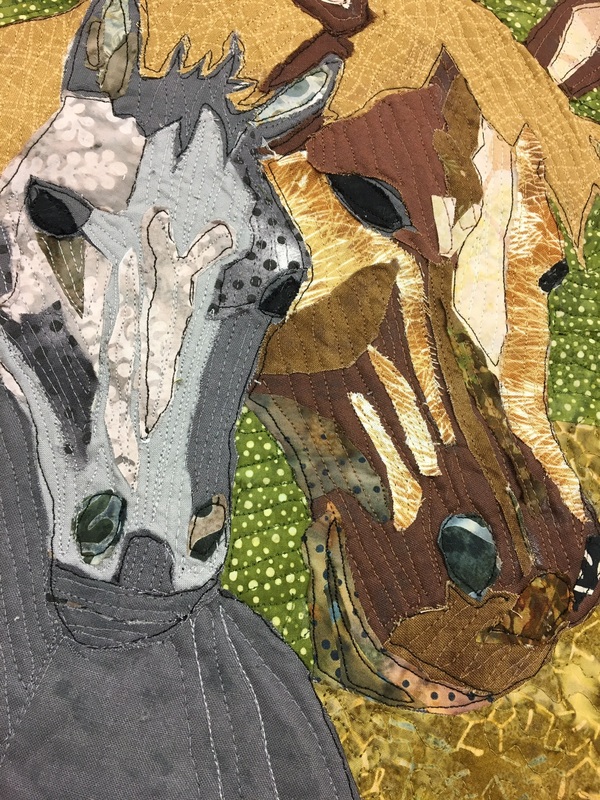 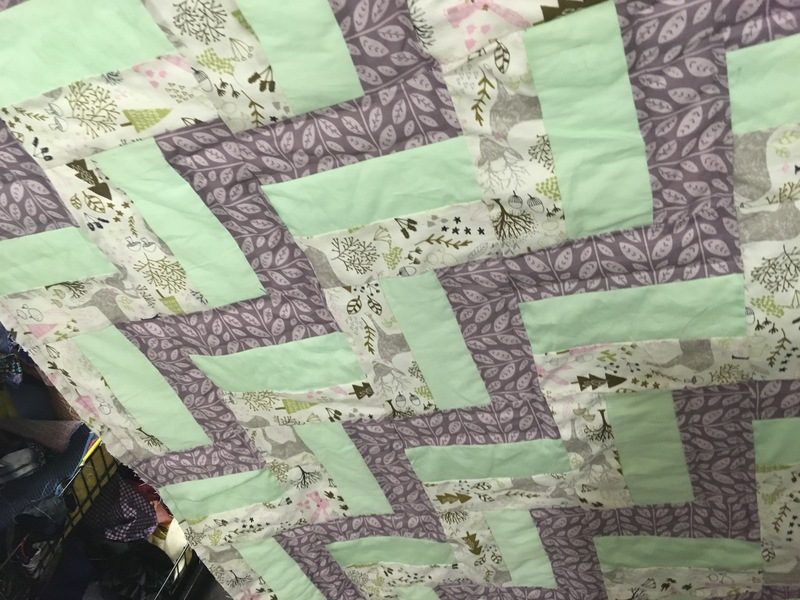 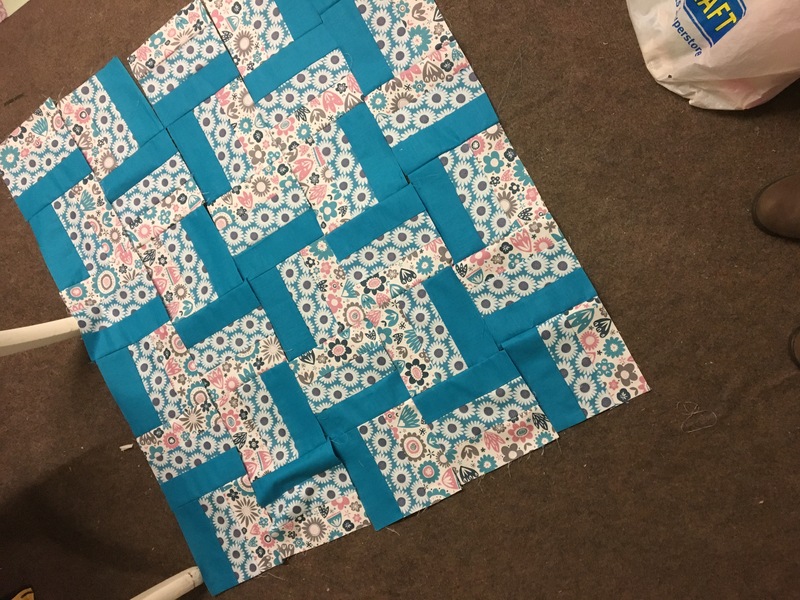 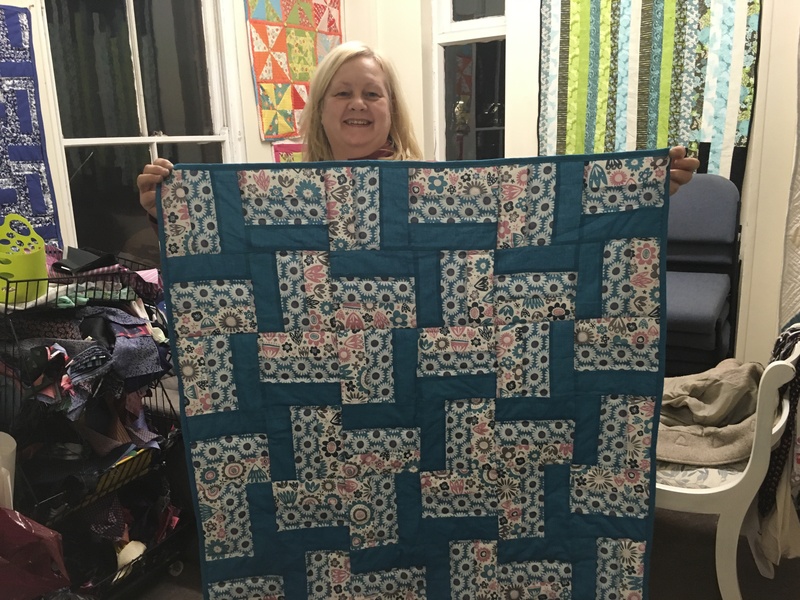 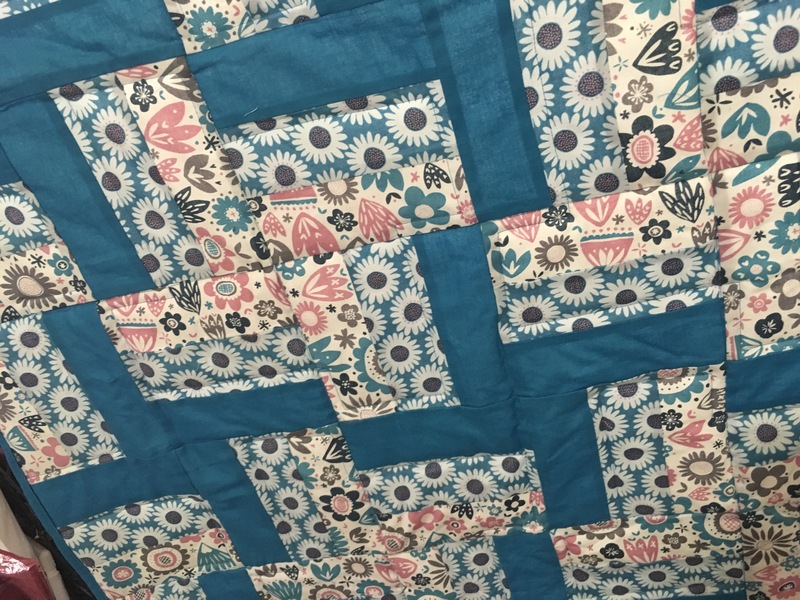 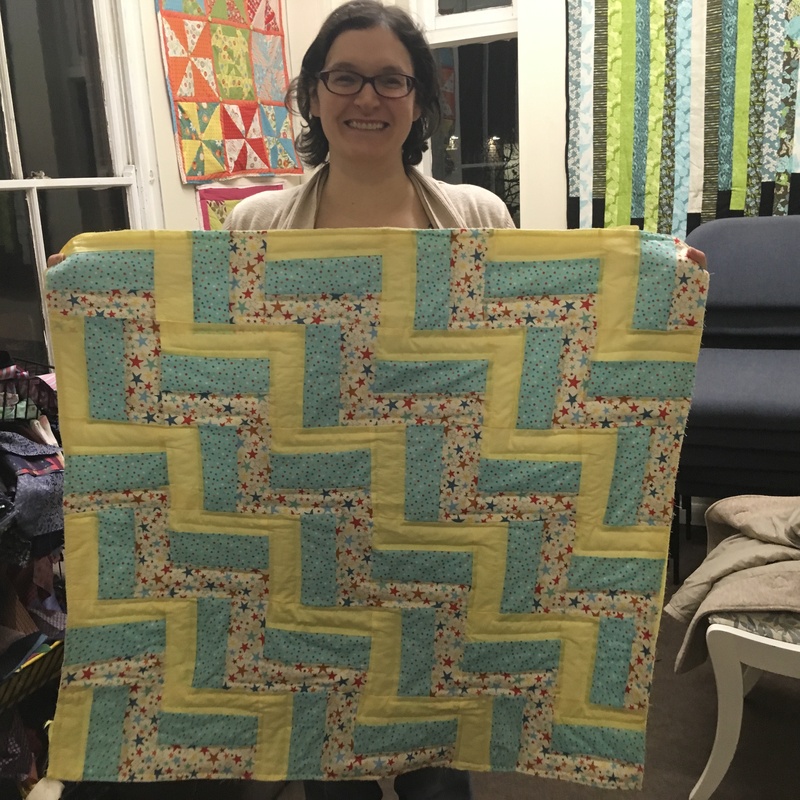 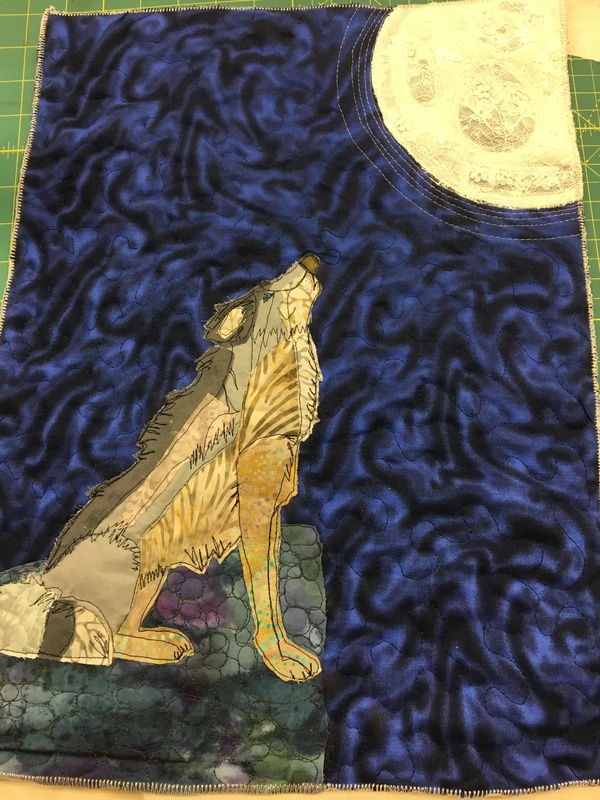 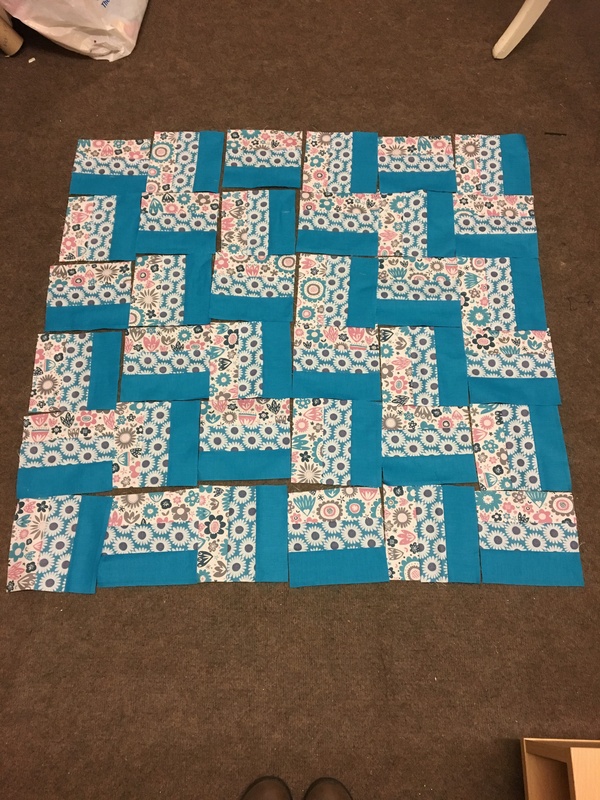 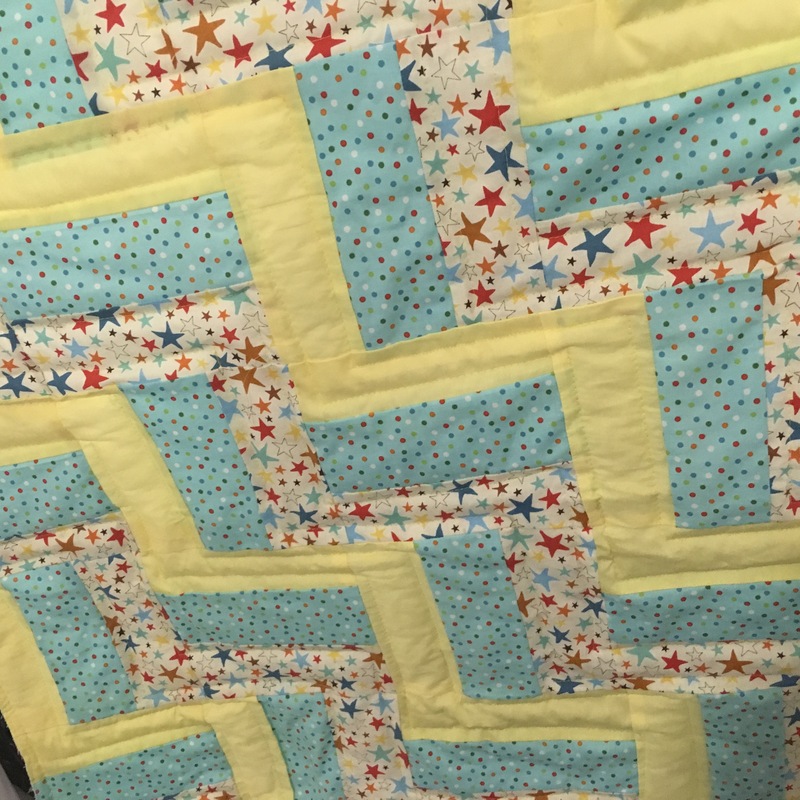 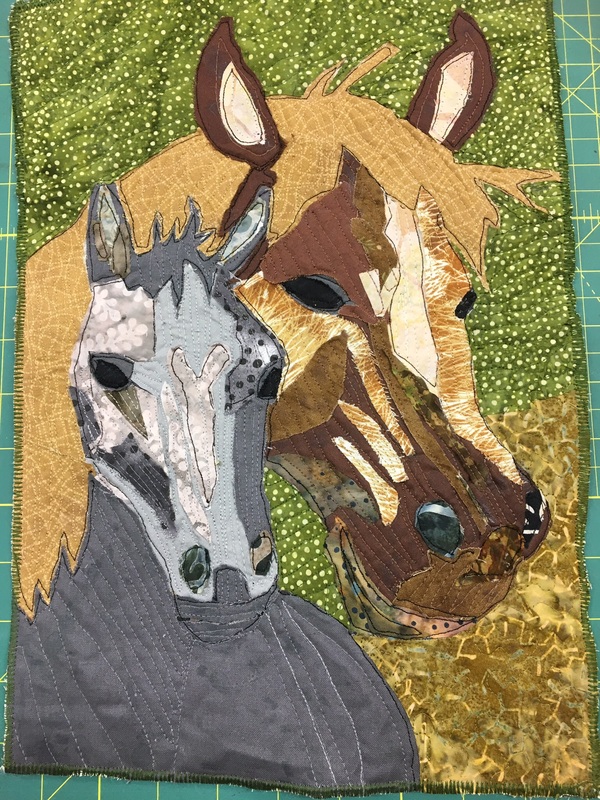 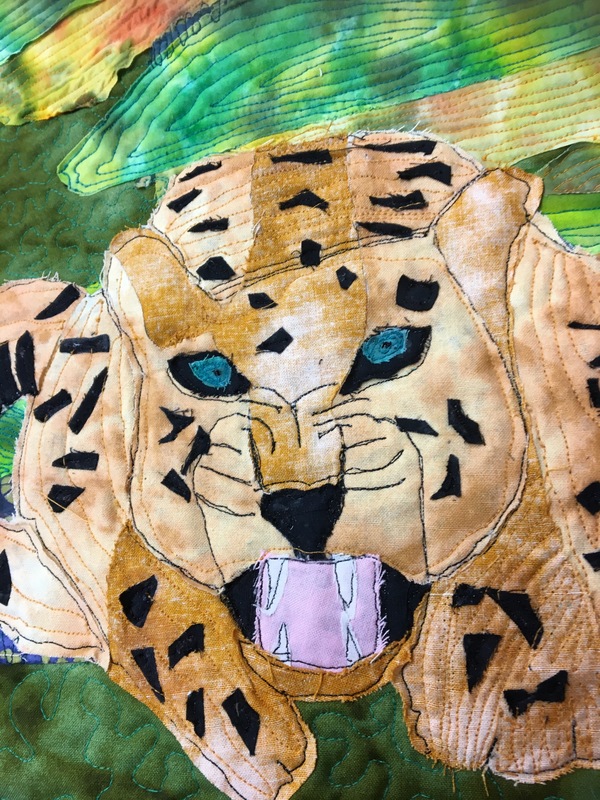 They have cut, pieced, basted, quilted and binded a lap quilt……. 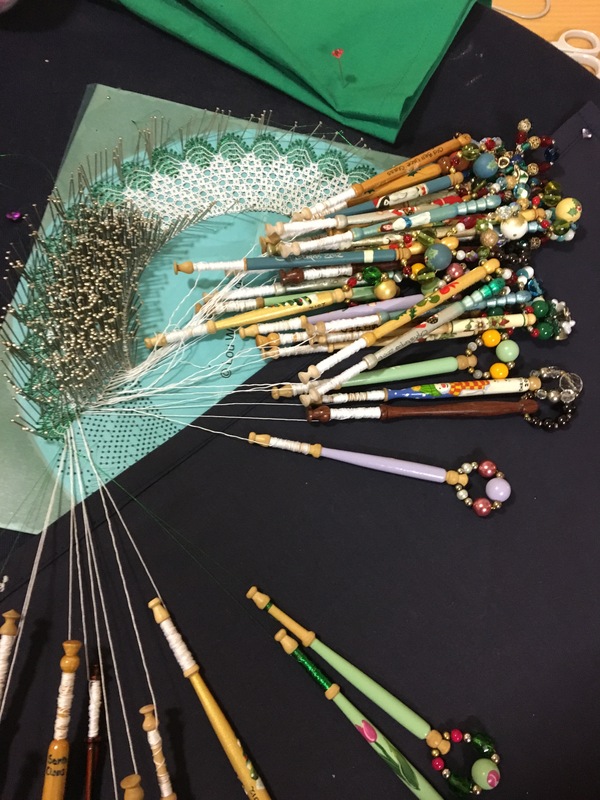 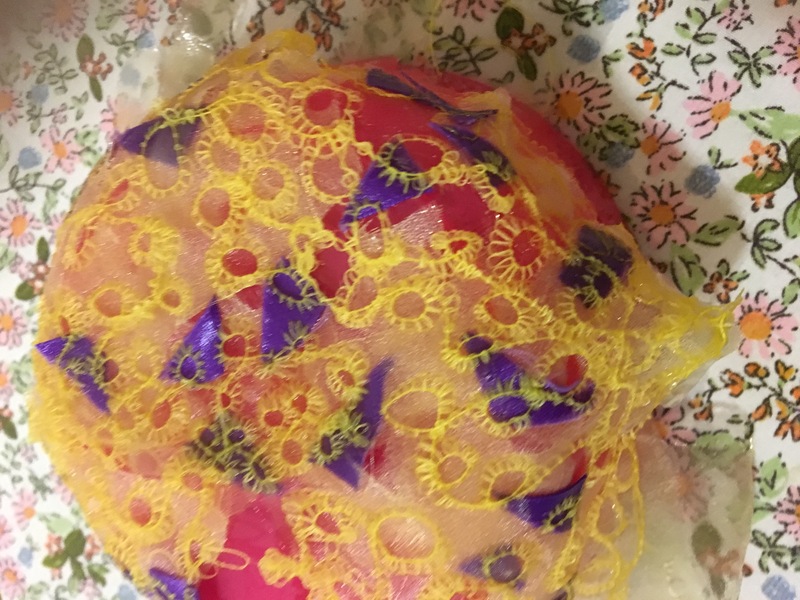 Then on to the lace bowls workshop where the ladies used dissolvable fabrics with sheers and stitching. 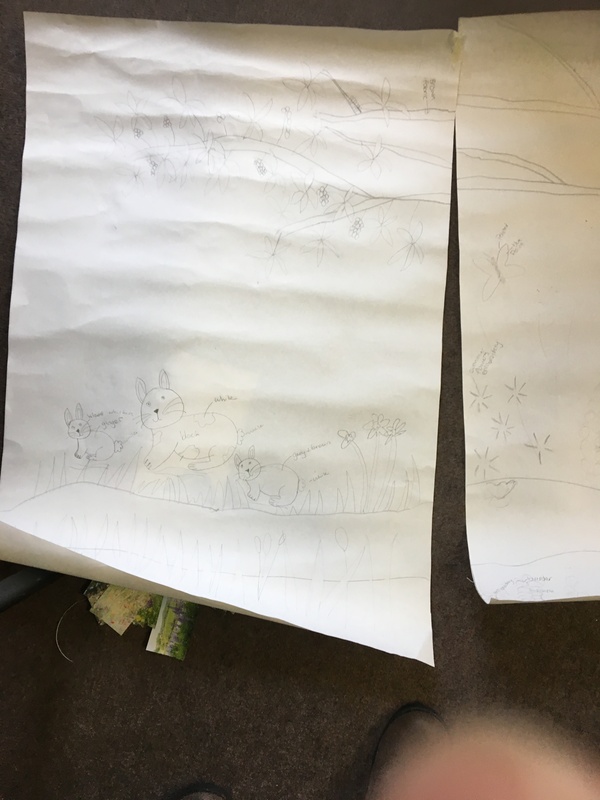 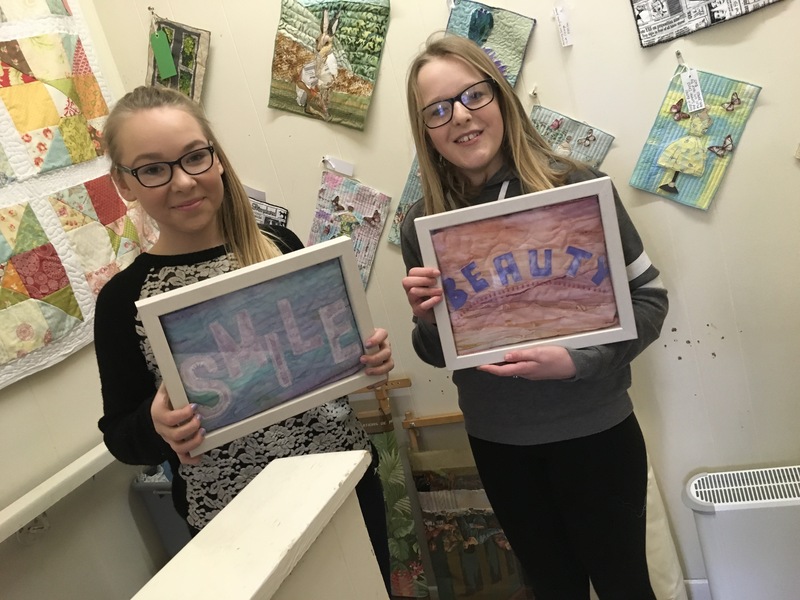 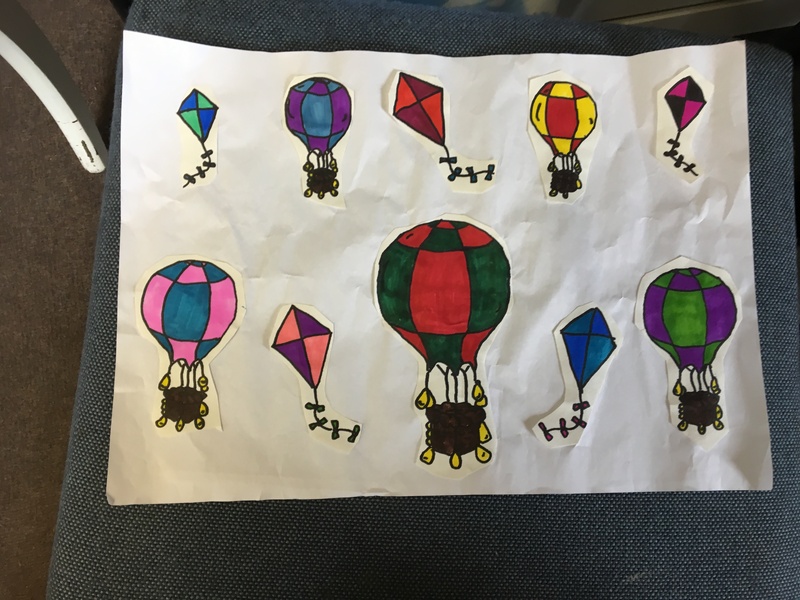 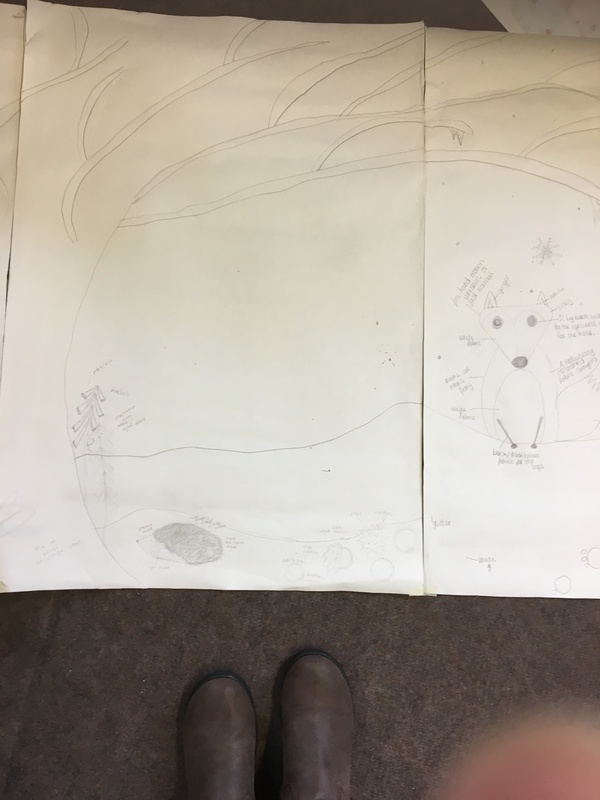 I can’t show you the finished products yet as they went home to set, however I can show the process…..
my older group have finished their text art pictures. 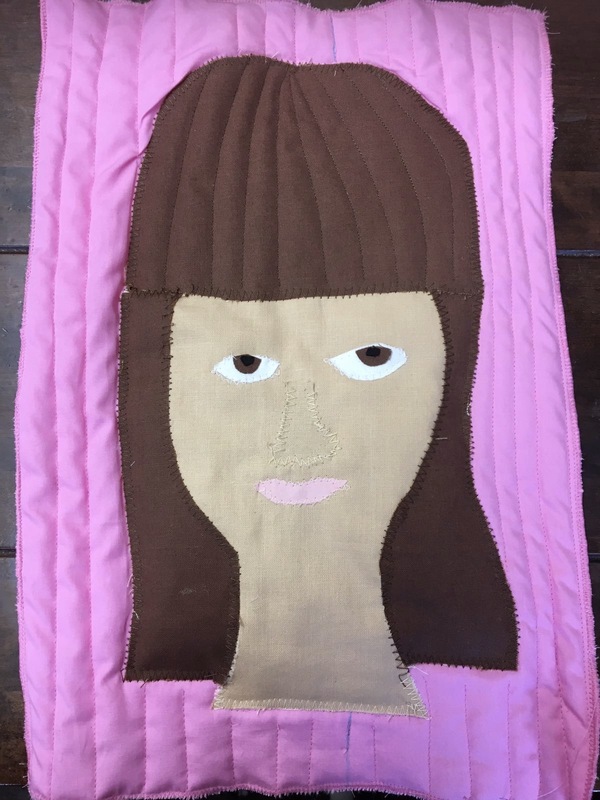 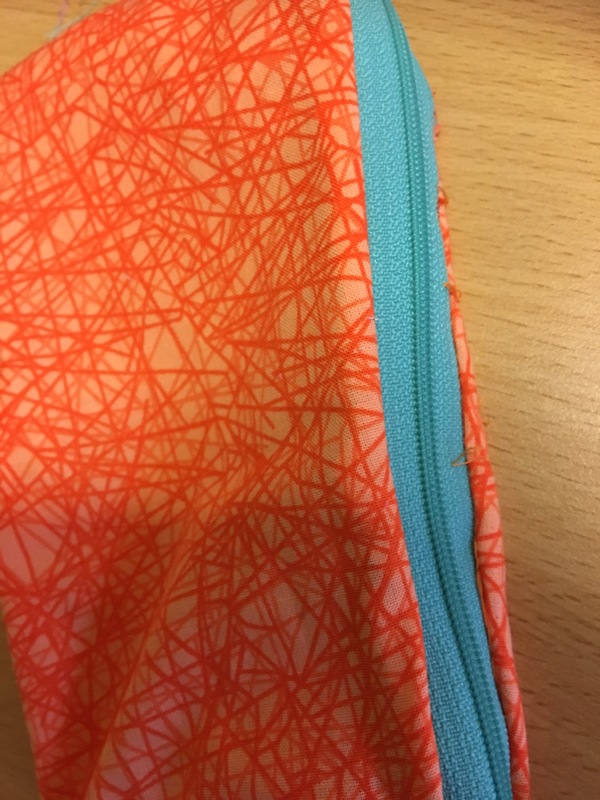 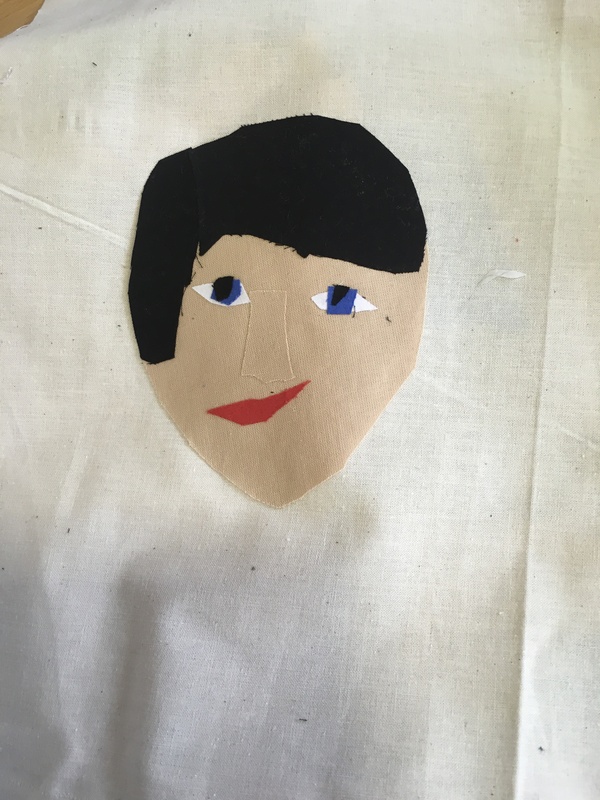 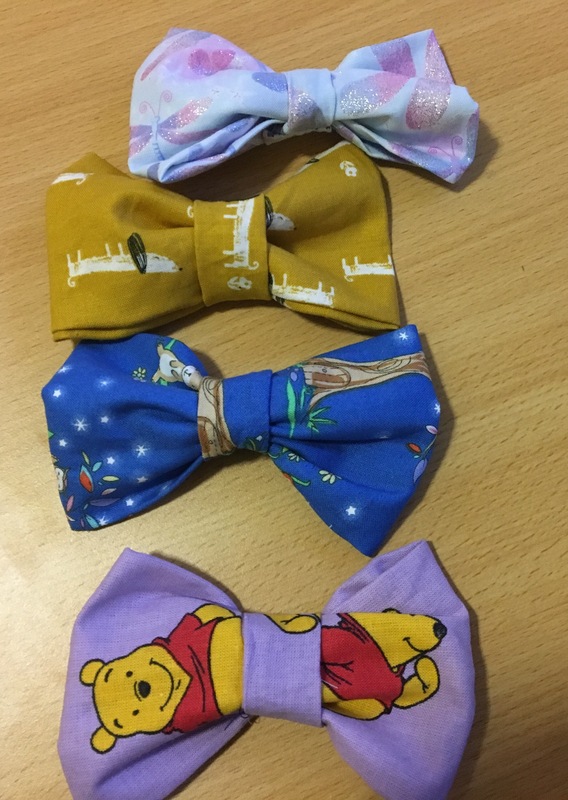 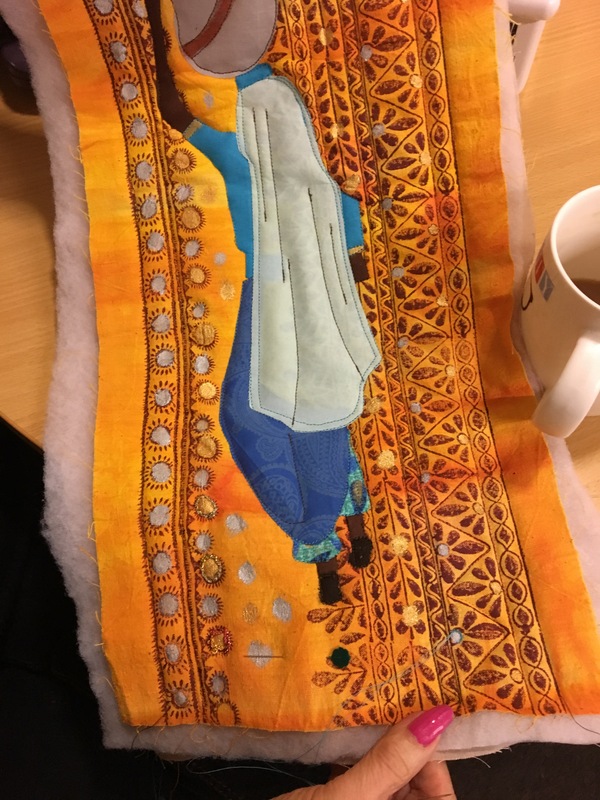 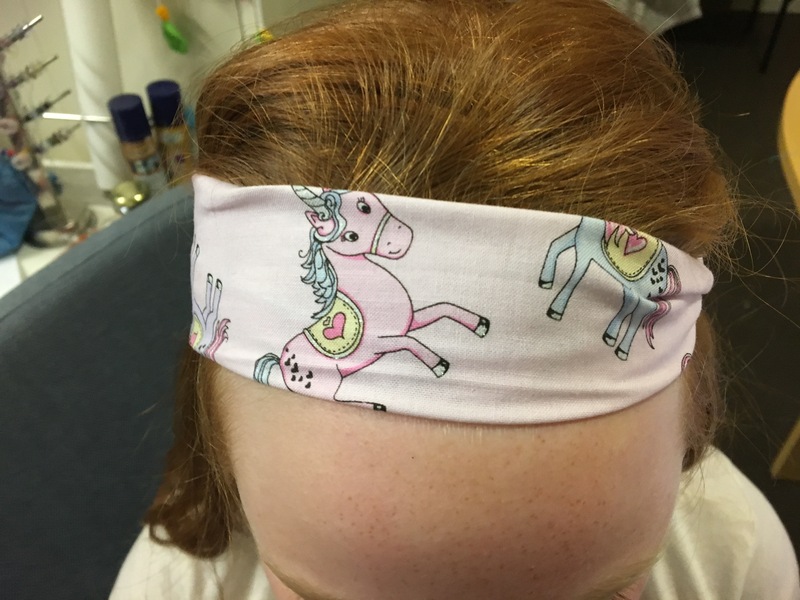 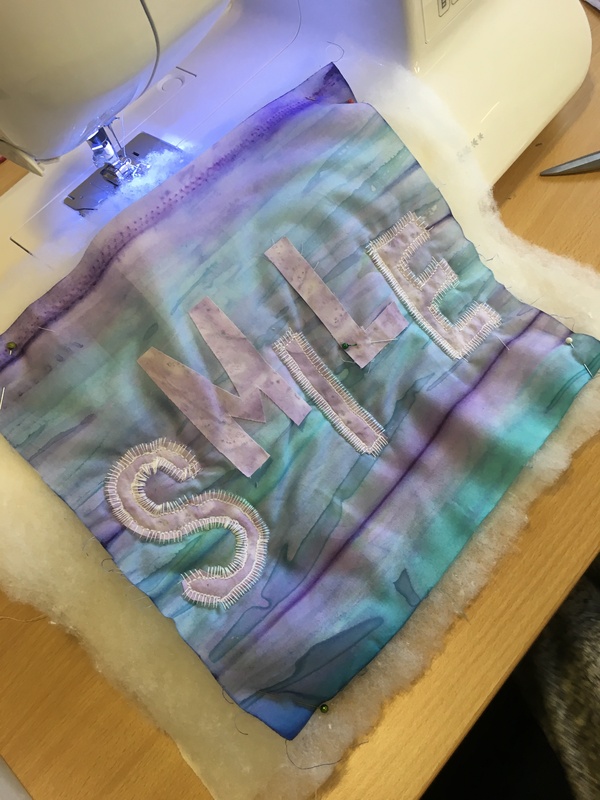 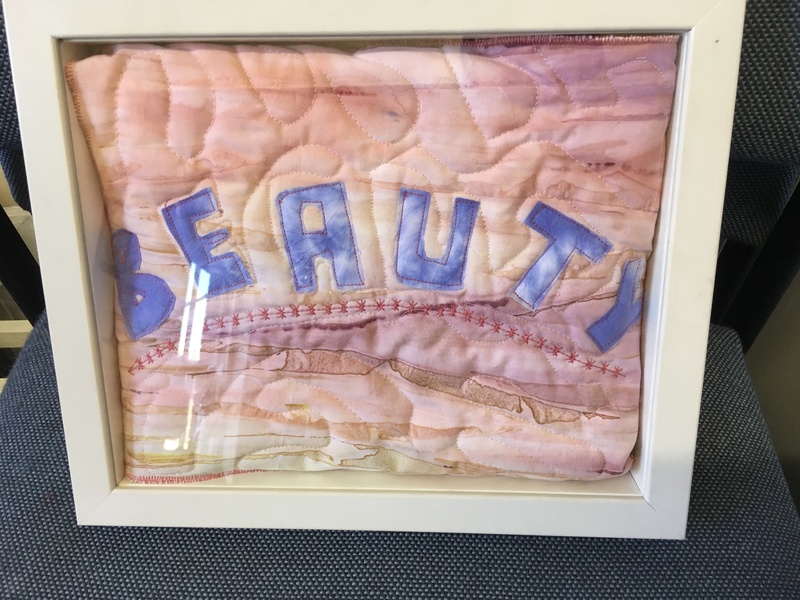 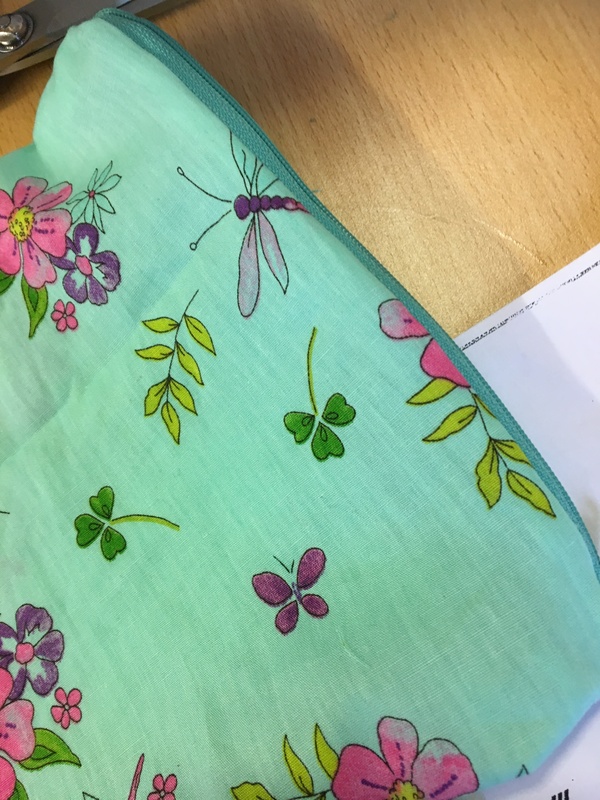 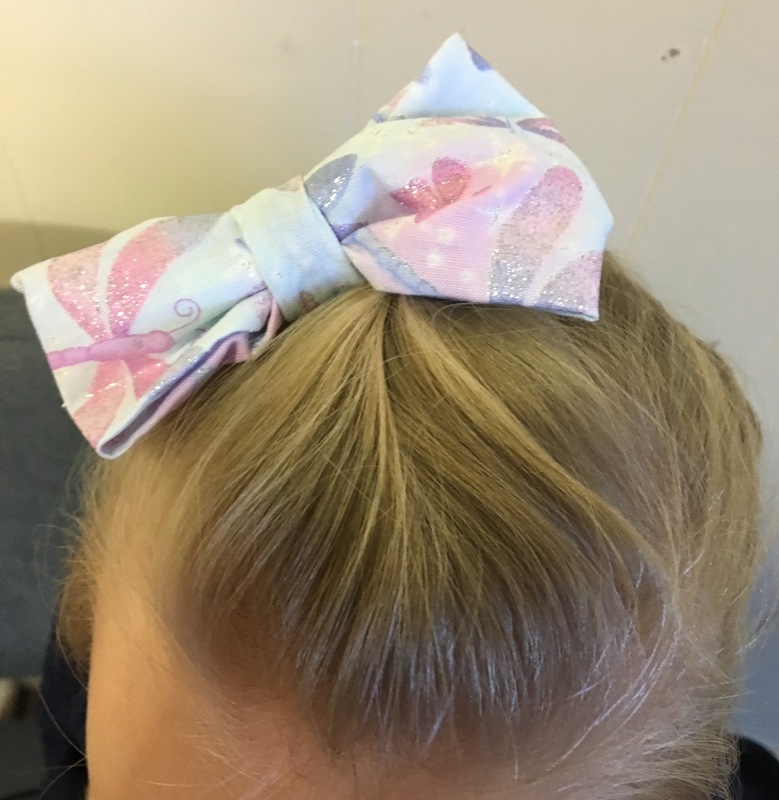 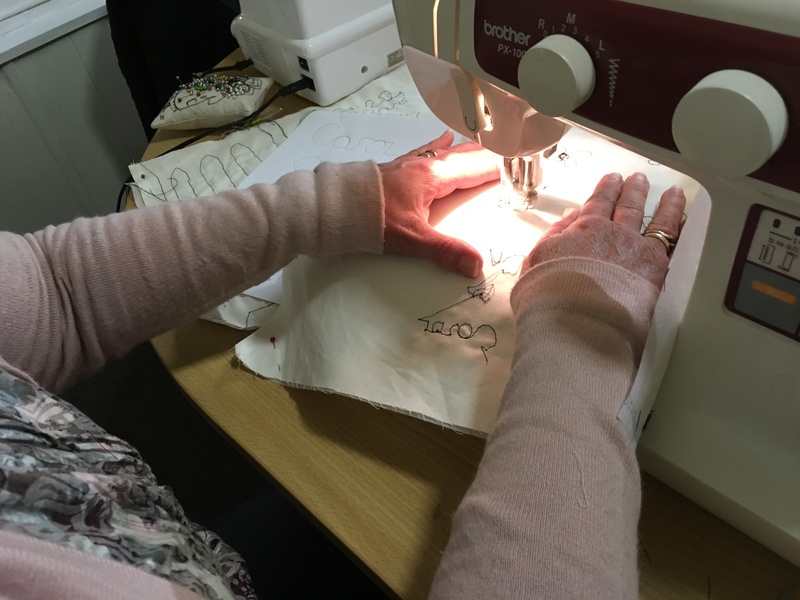 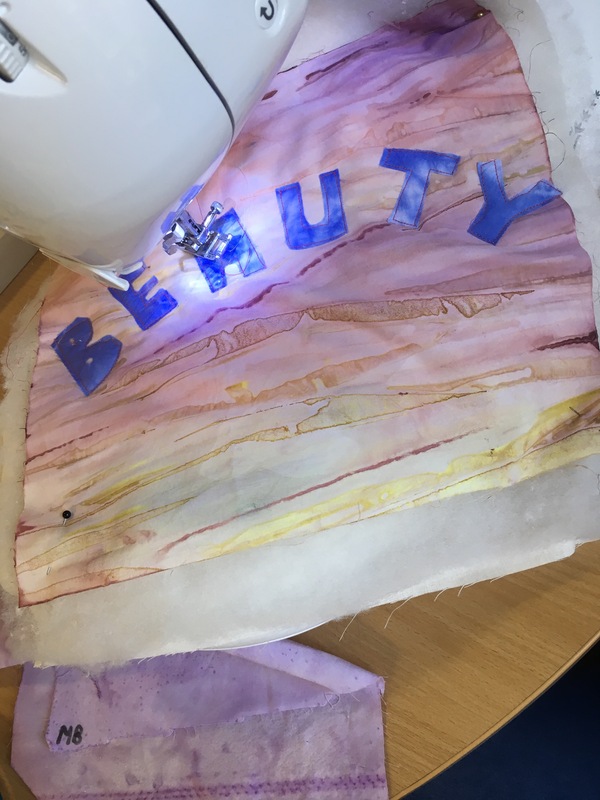 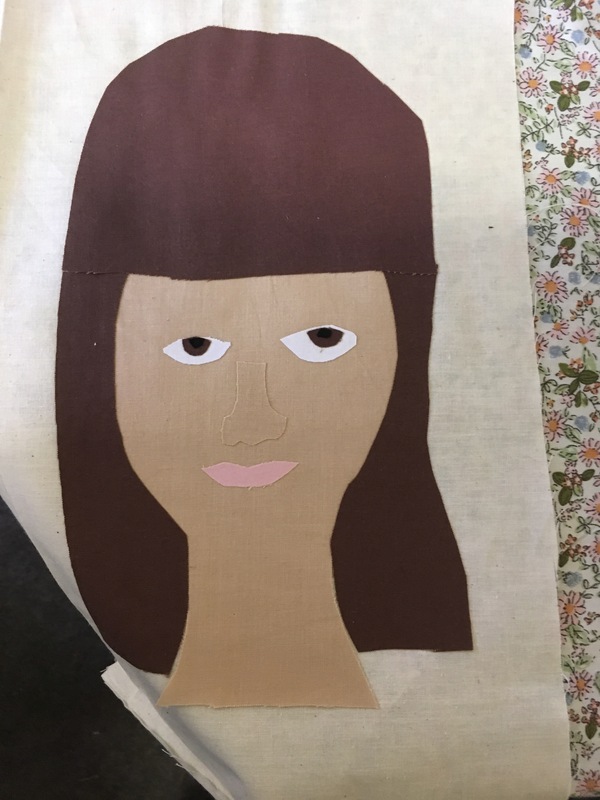 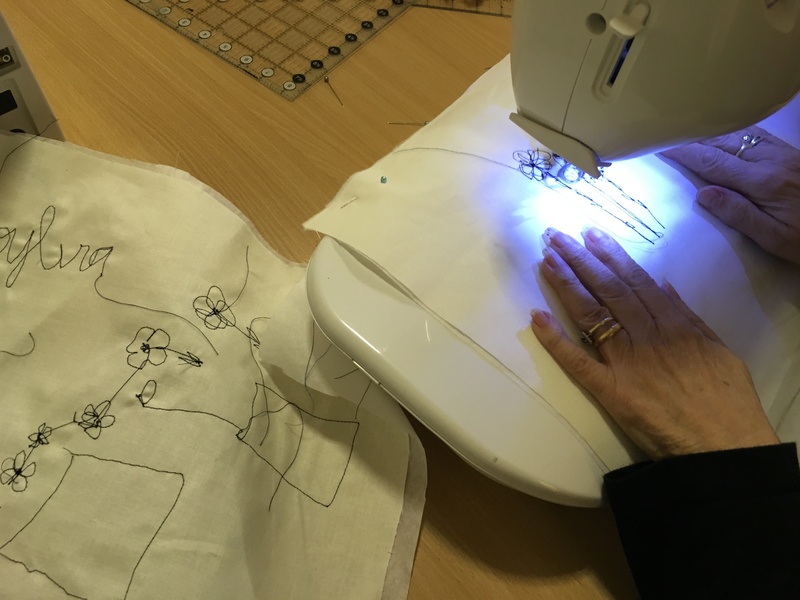 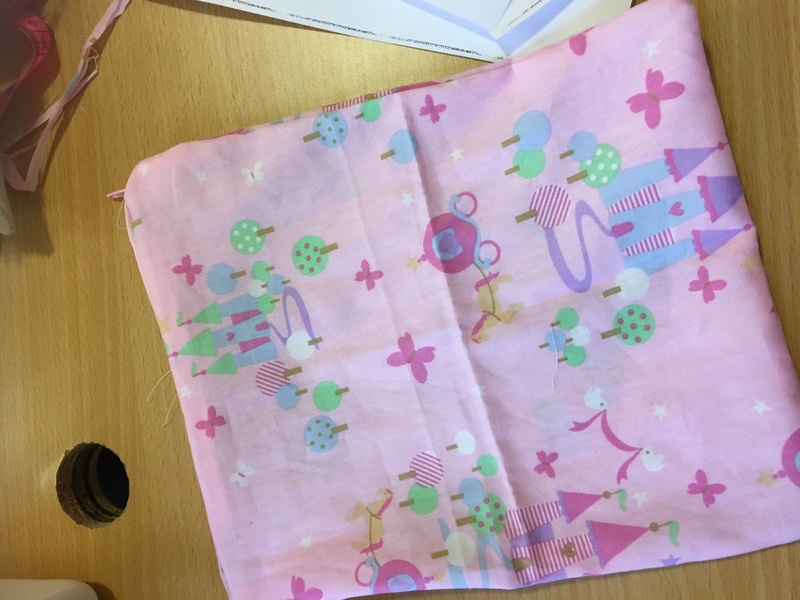 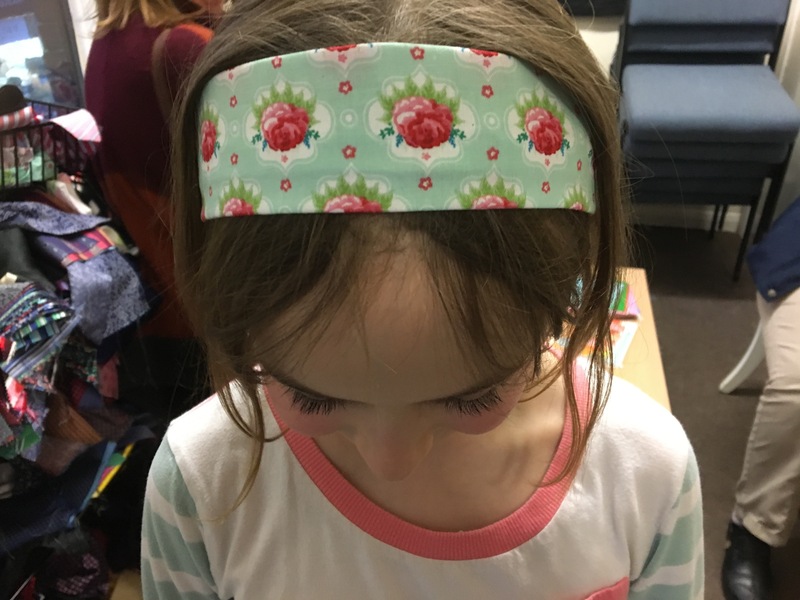 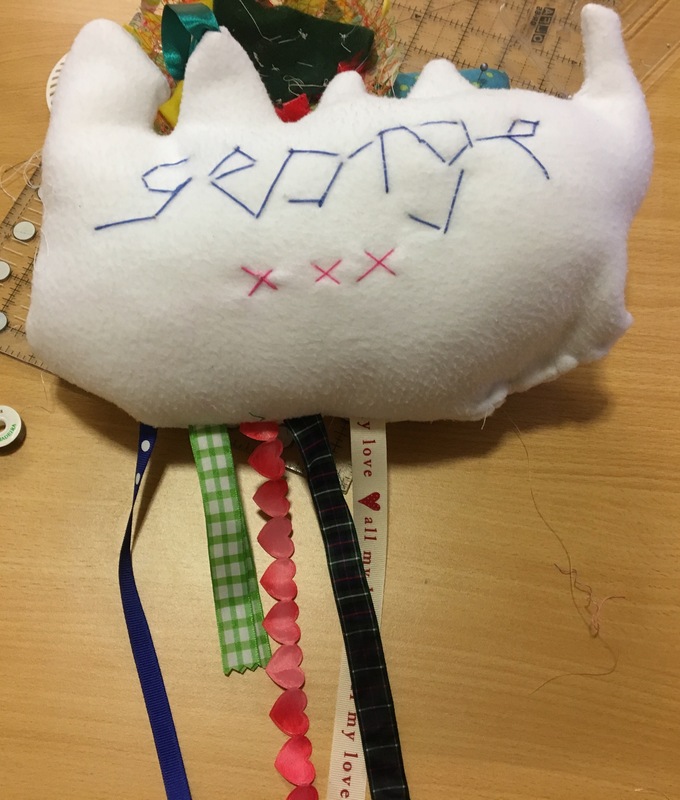 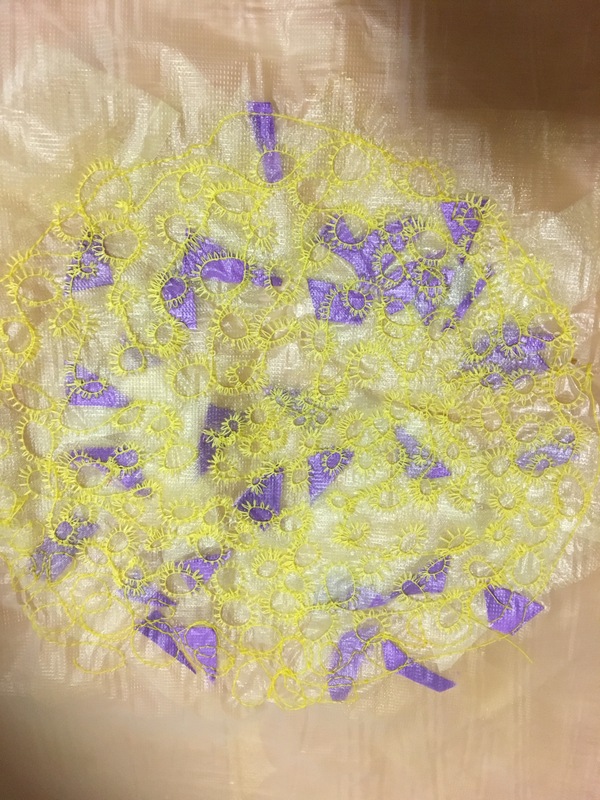 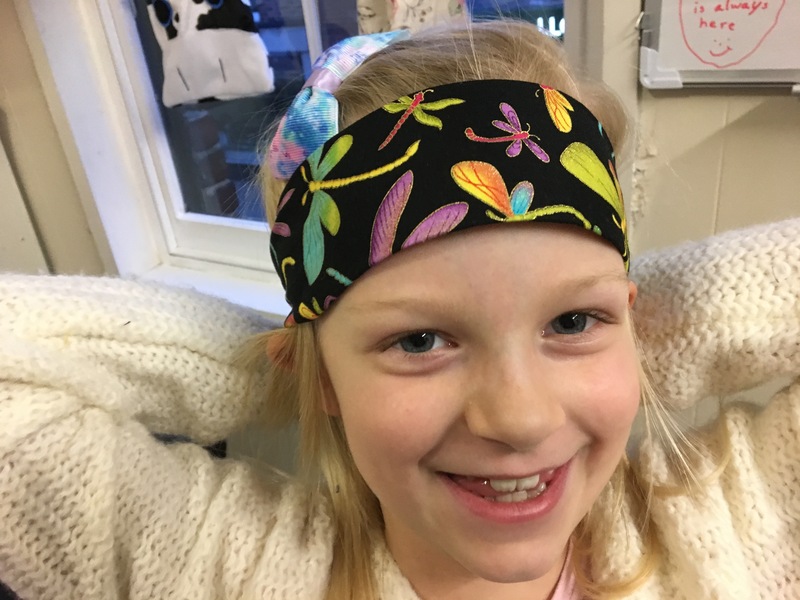 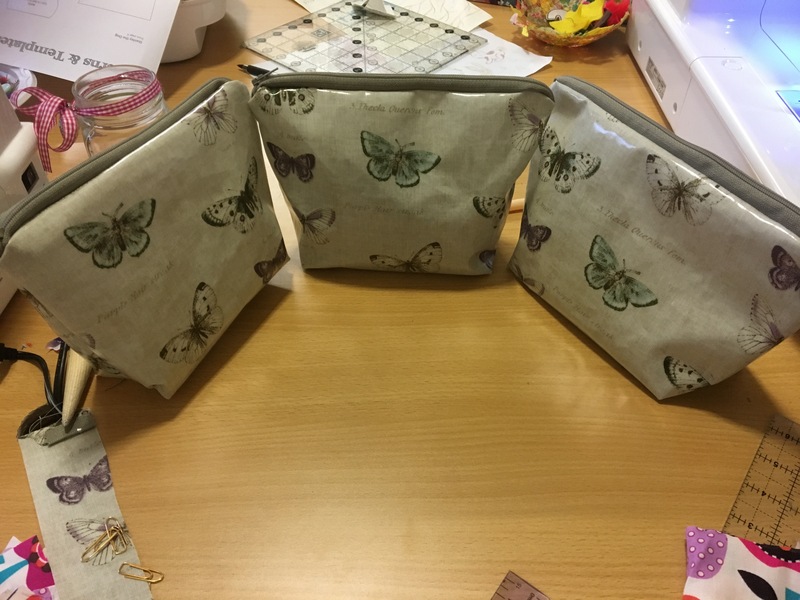 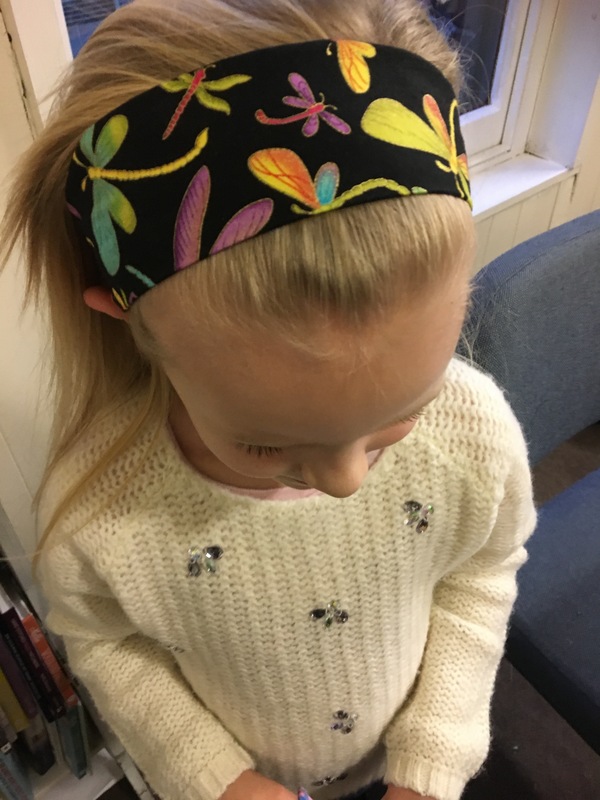 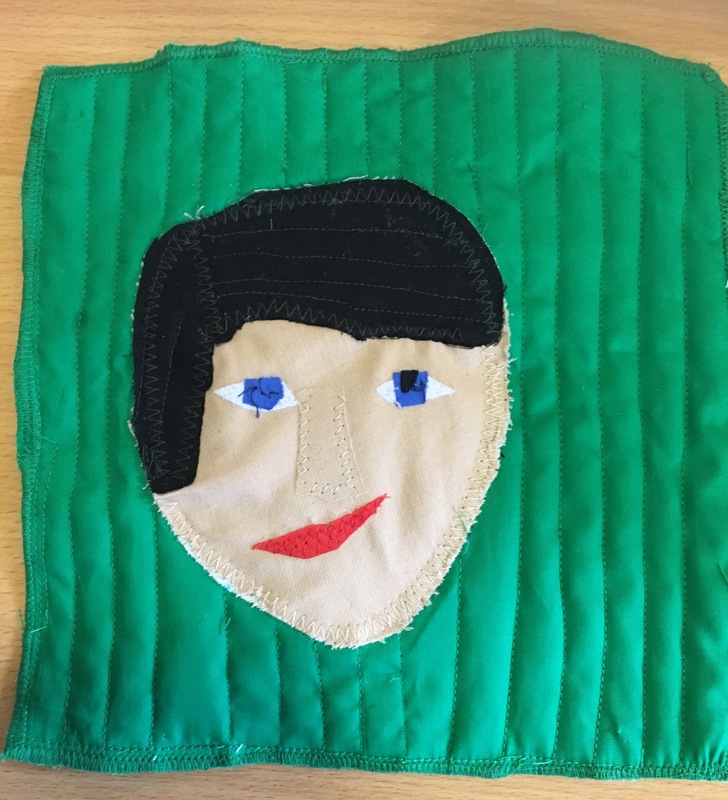 They have Hand dyed fabrics, designed, added appliqué, quilted, blinded and framed…..
And then had a go at stitching with oil cloth and made these fantastic makeup bags…..
My new Tuesday group are starting to get more confident with the machines and made bows and headbands….. 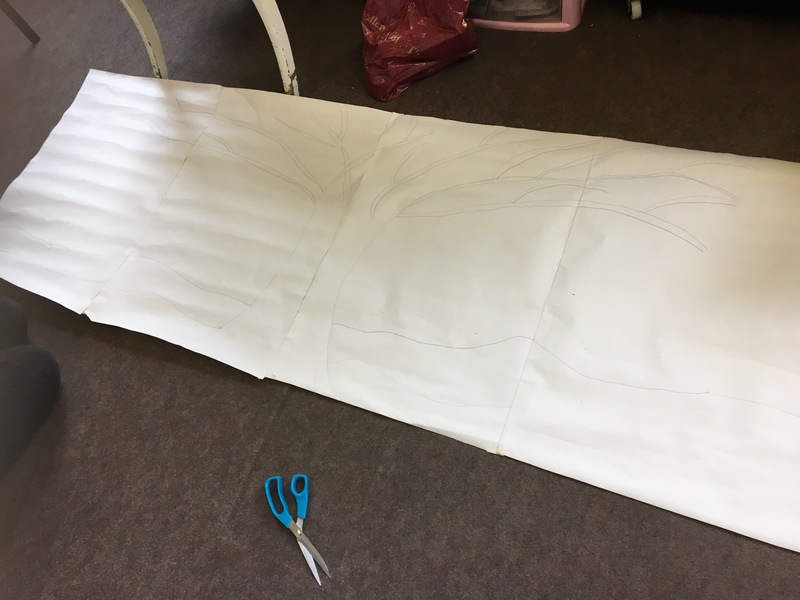 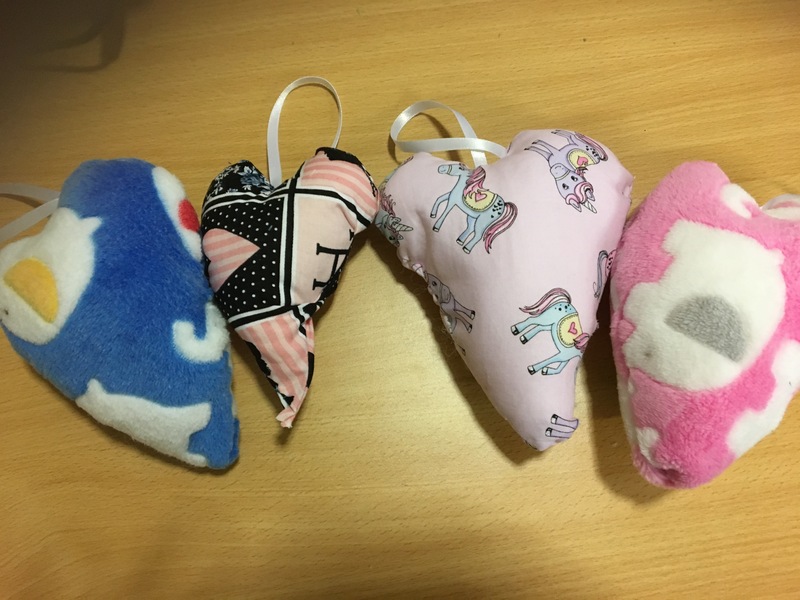 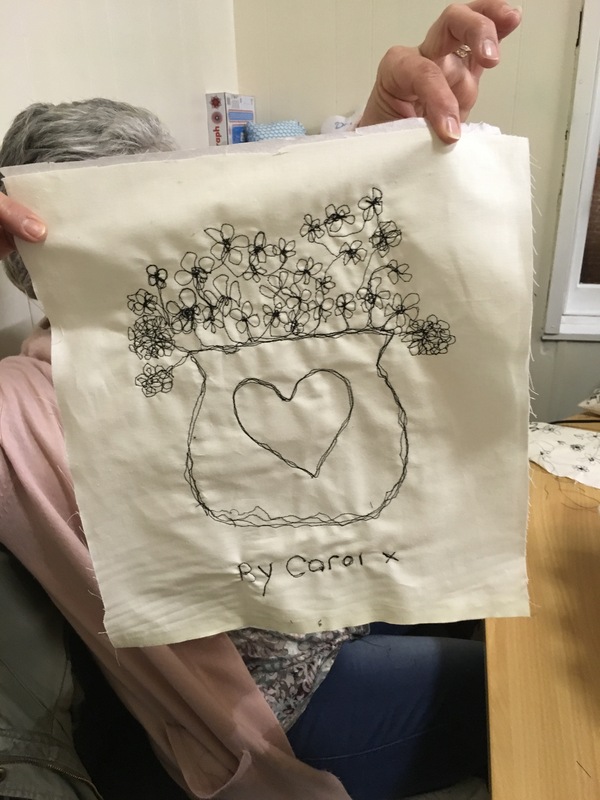 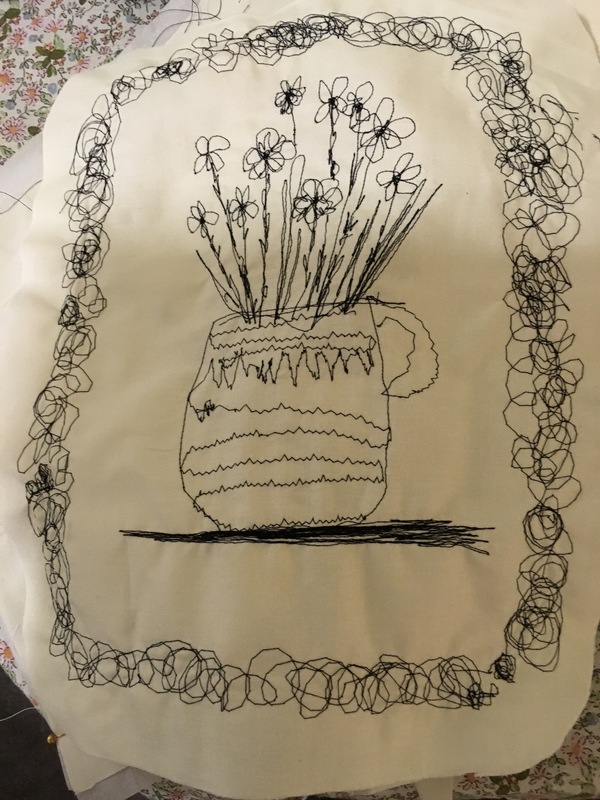 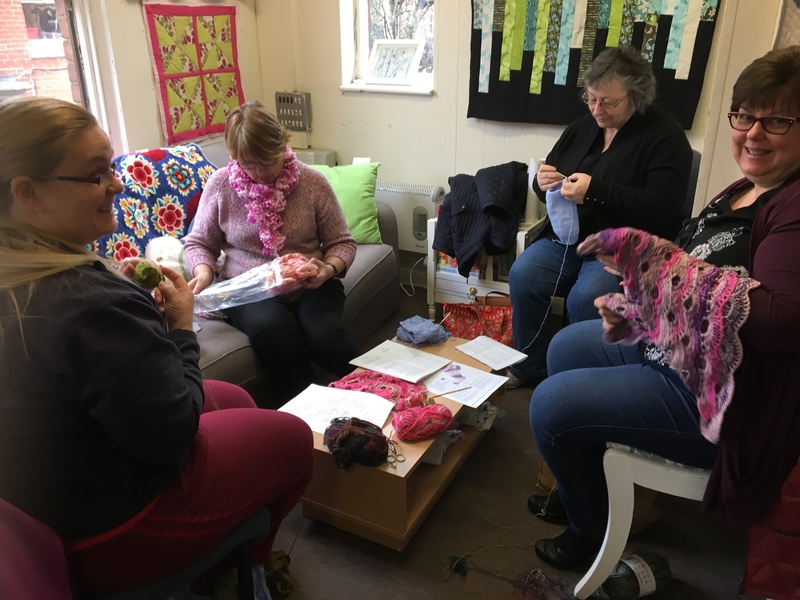 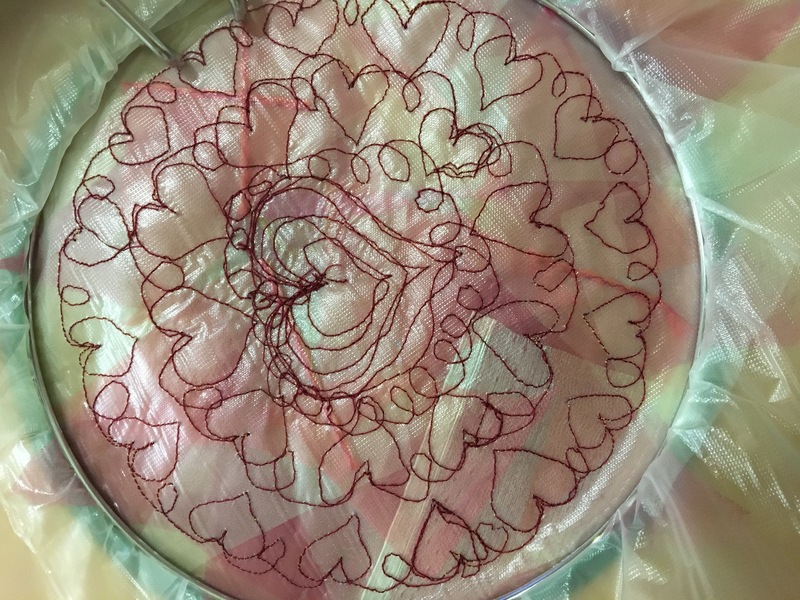 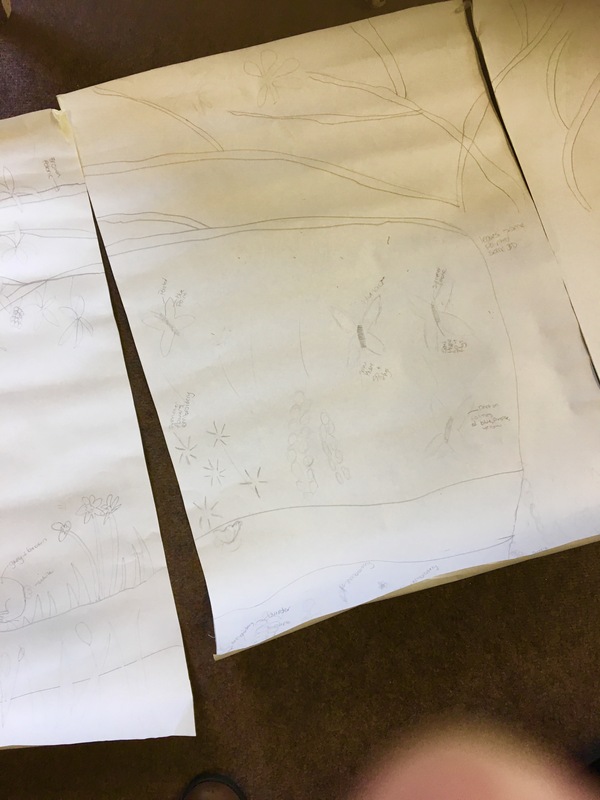 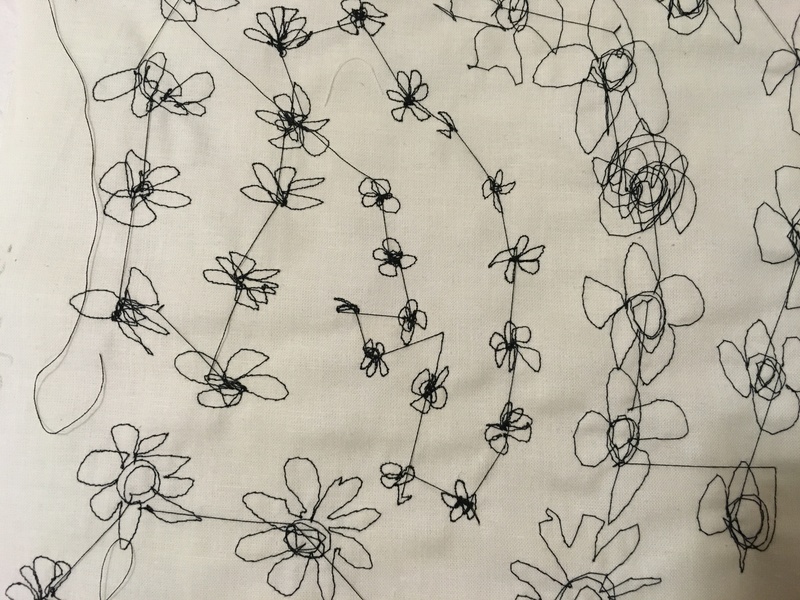 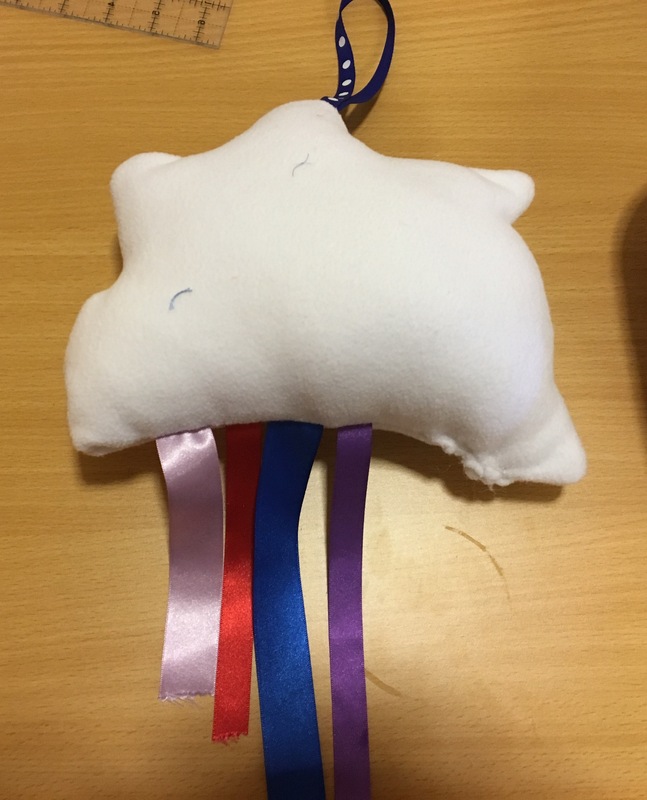 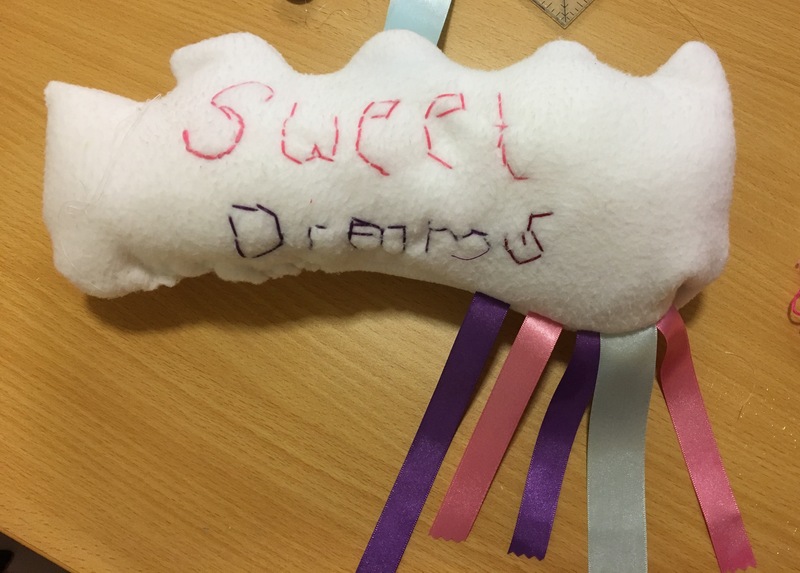 The Wednesday group have been practising curves with hearts and clouds…..
It’s definitely been a creative and fun packed week. 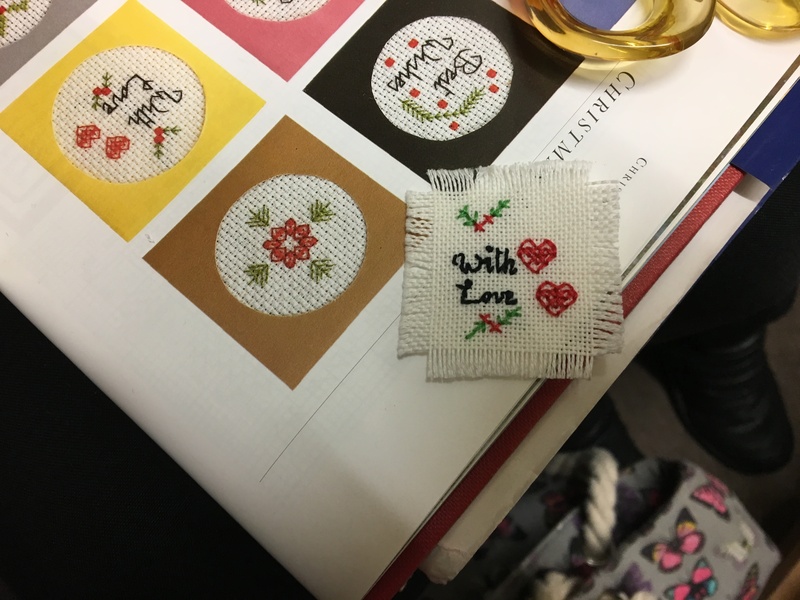 Thanks for reading and supporting me in my dream job. 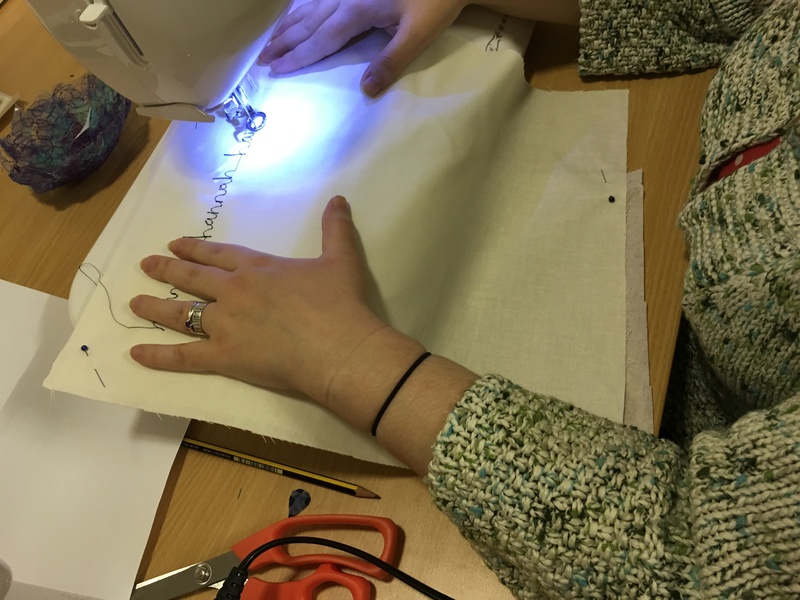 This week has certainly been a creative week with fabrics. 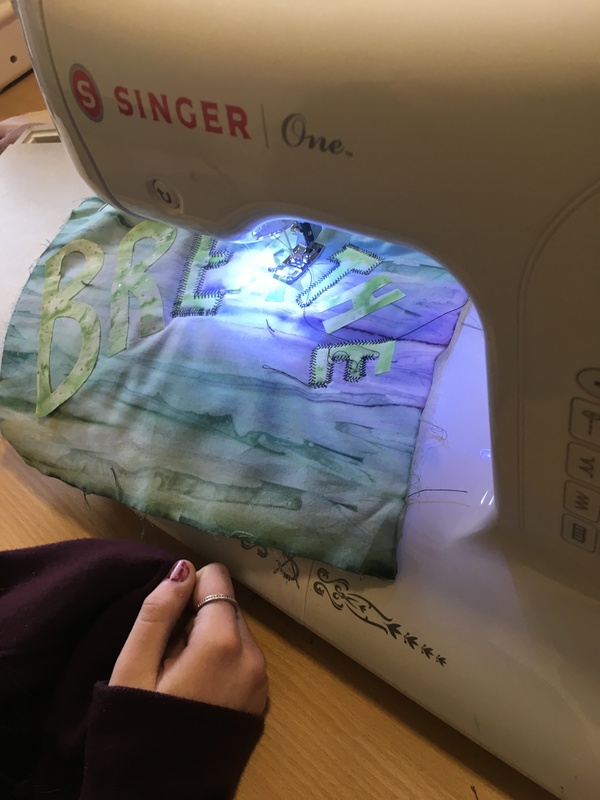 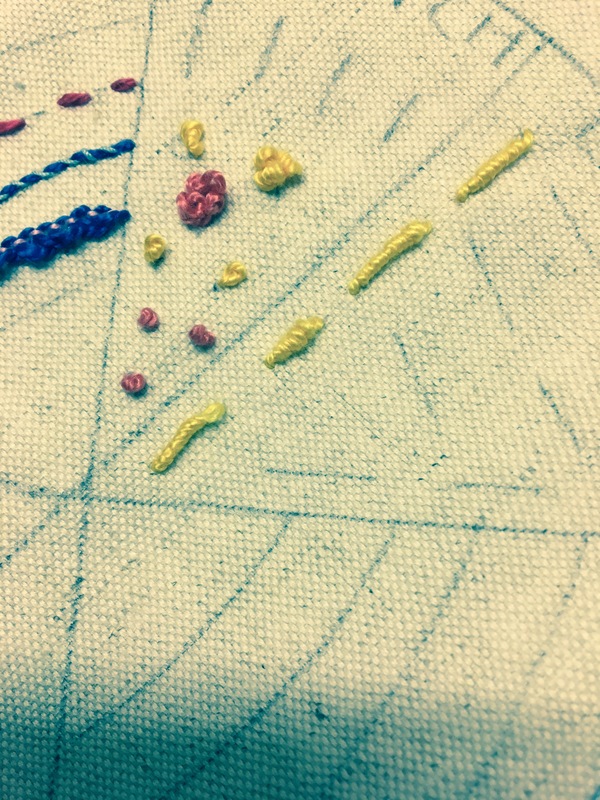 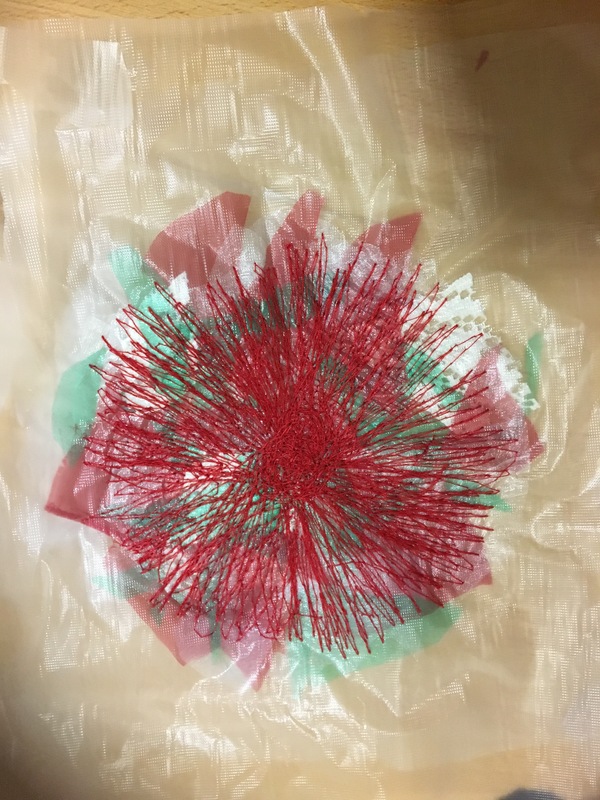 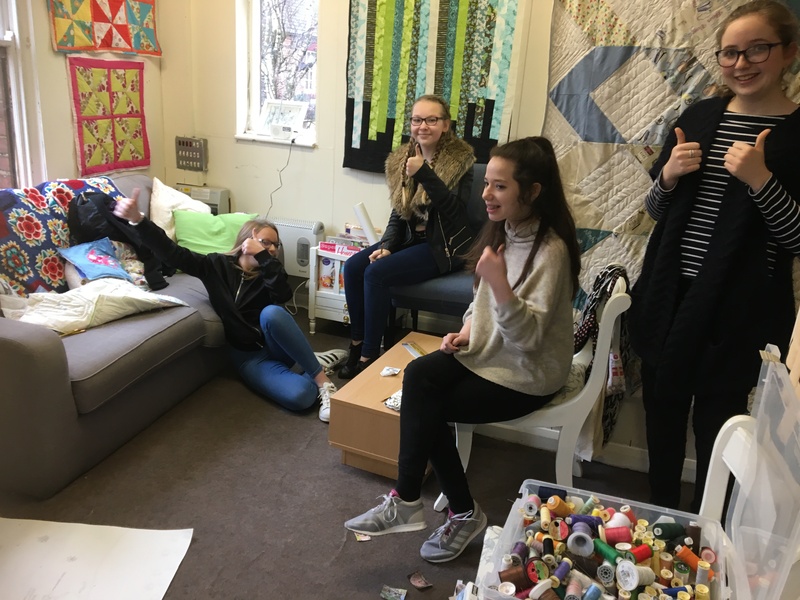 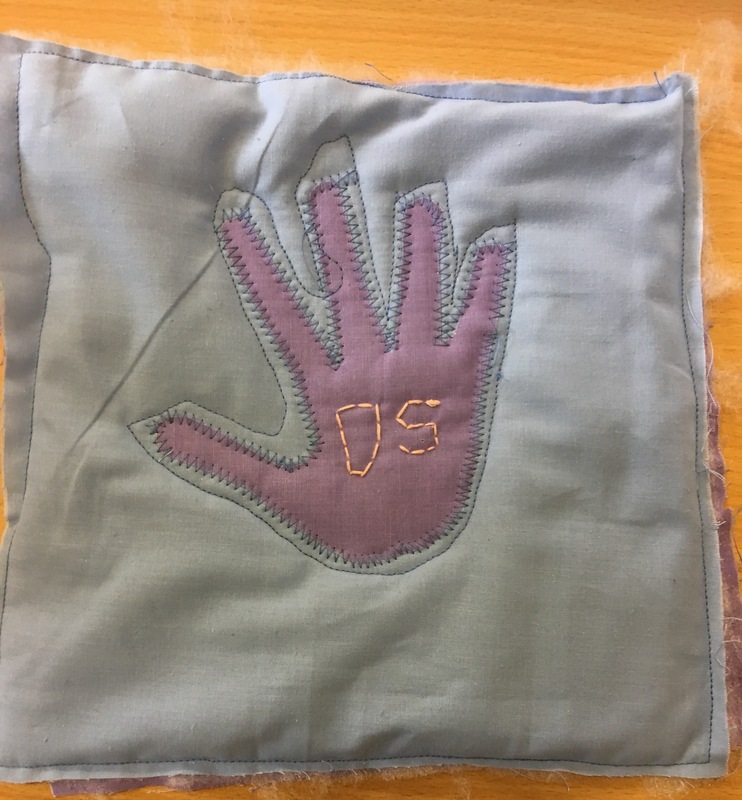 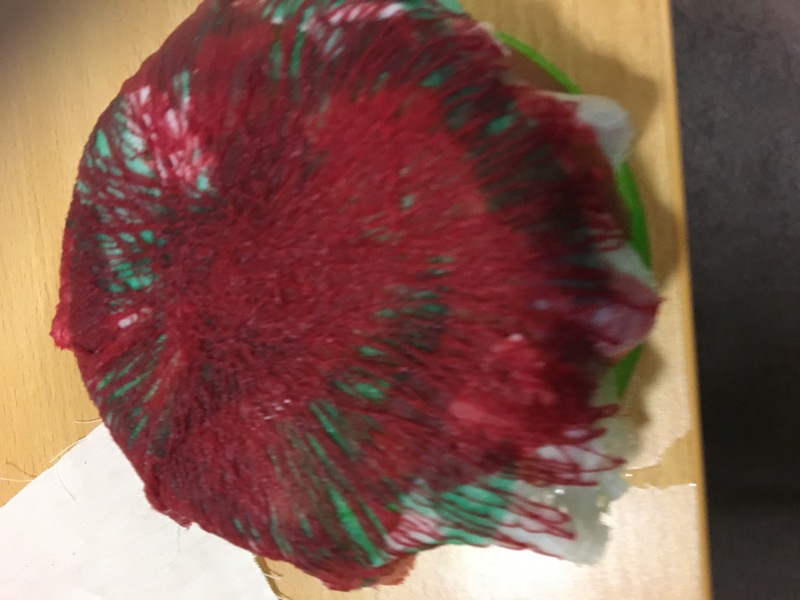 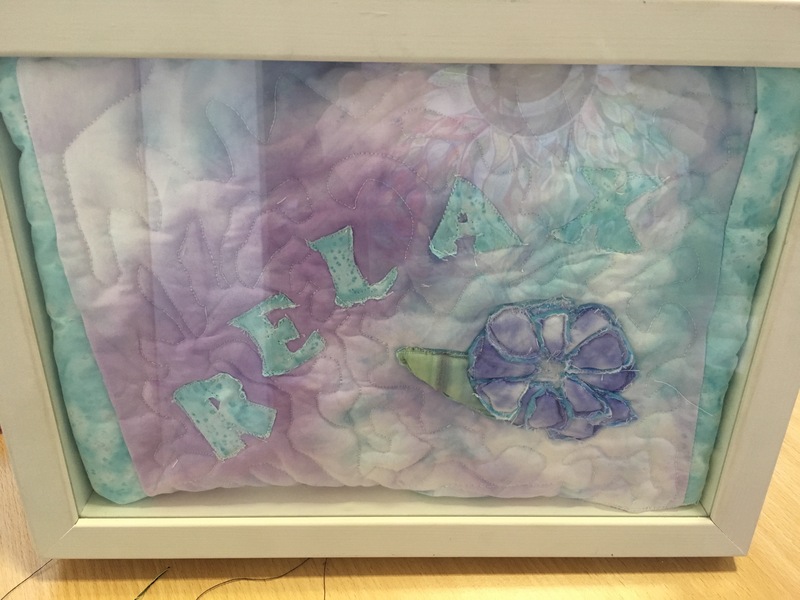 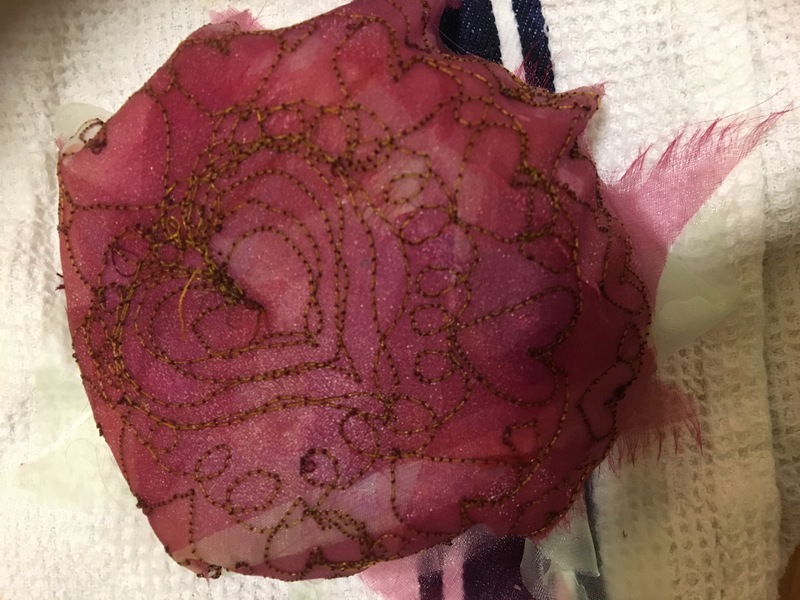 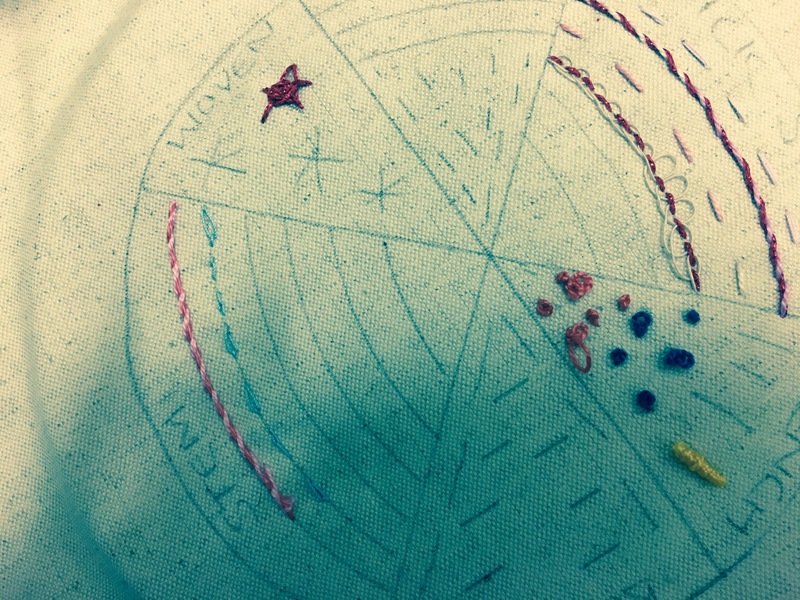 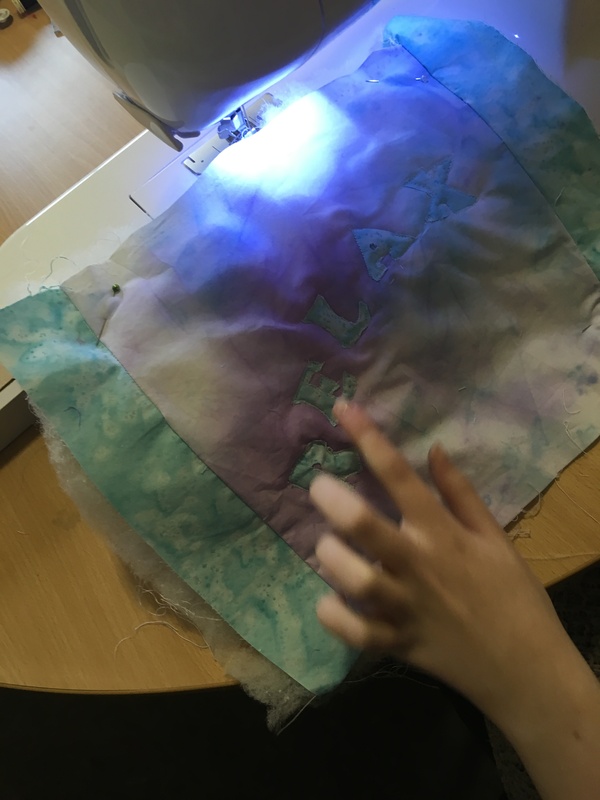 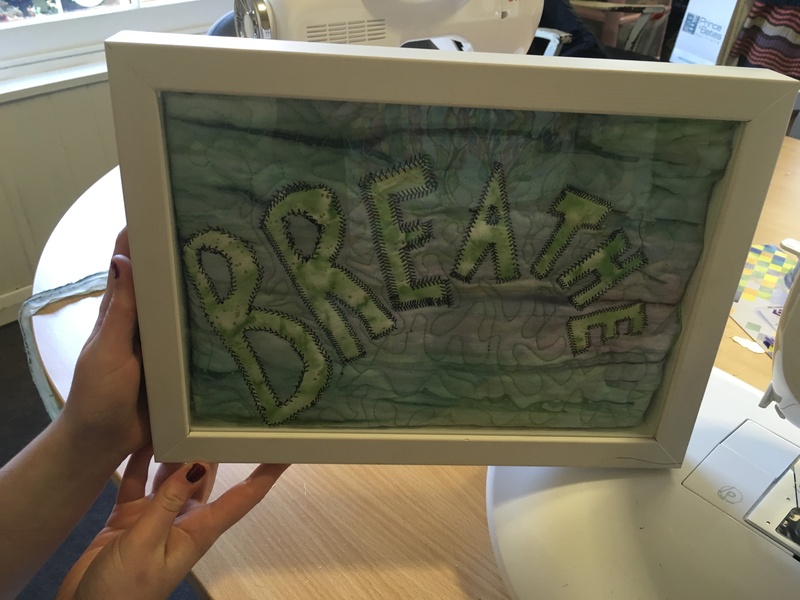 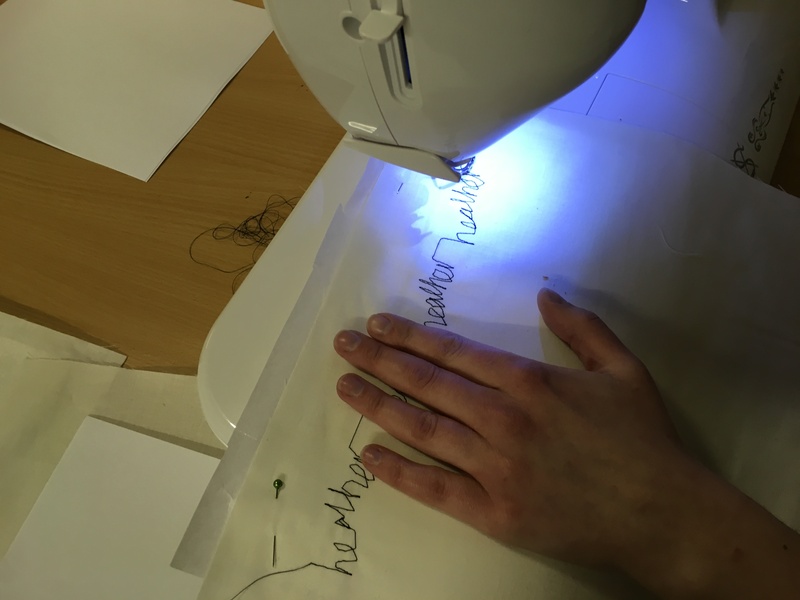 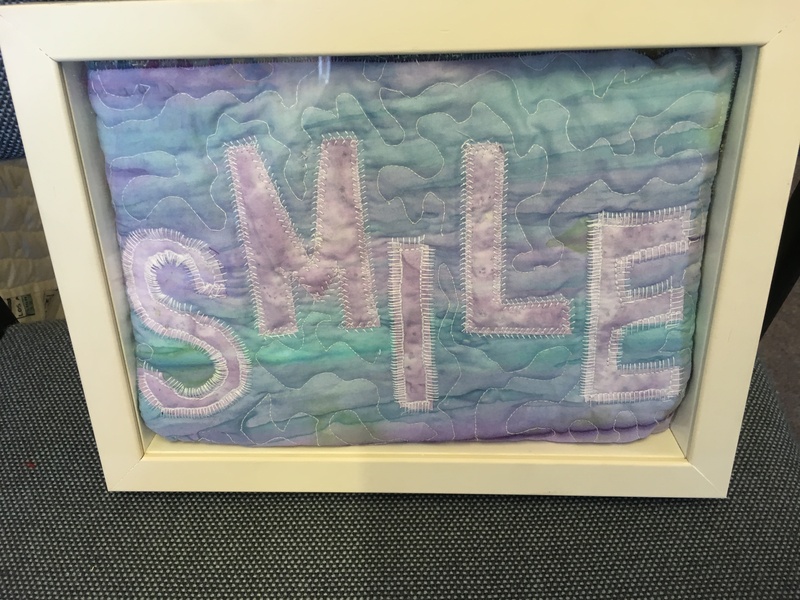 Firstly my older group are using their hand dyed fabric to make text art…. 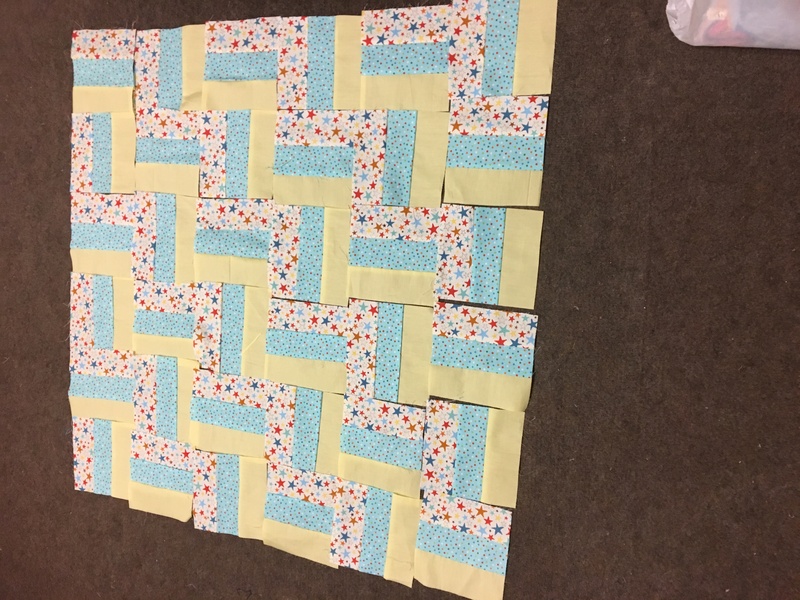 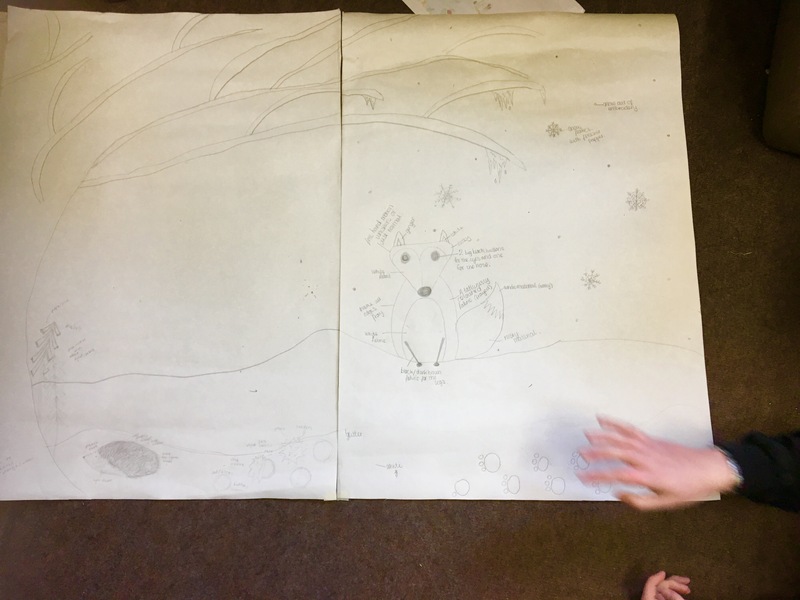 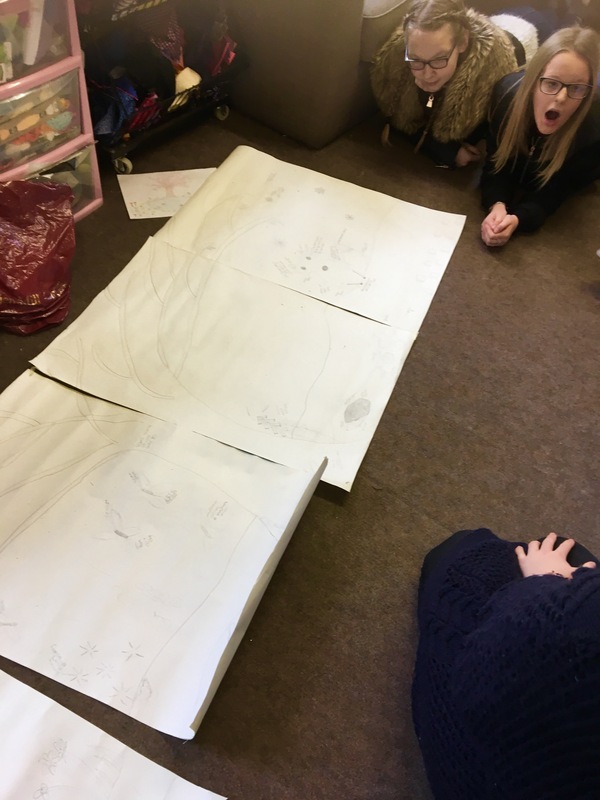 Whilst my younger groups are in the middle of making patchwork book covers…. 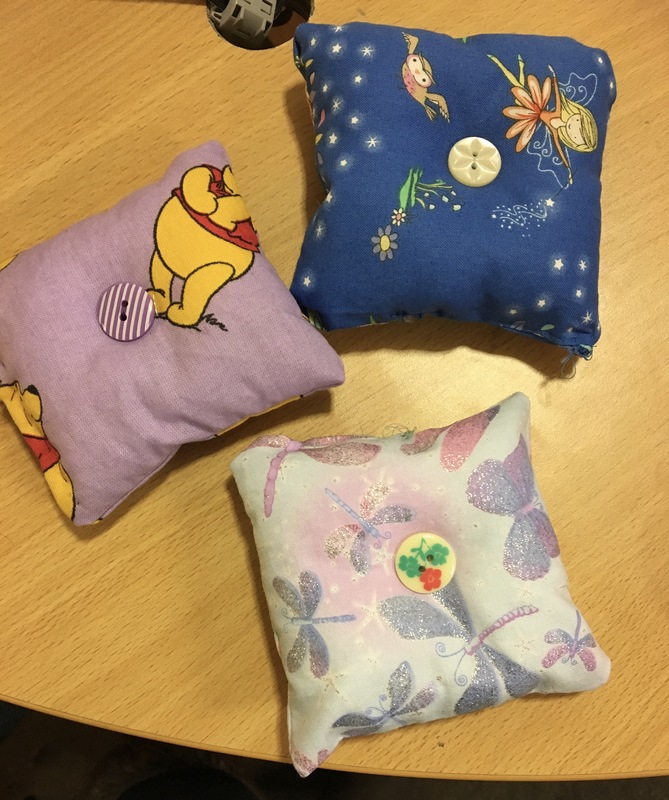 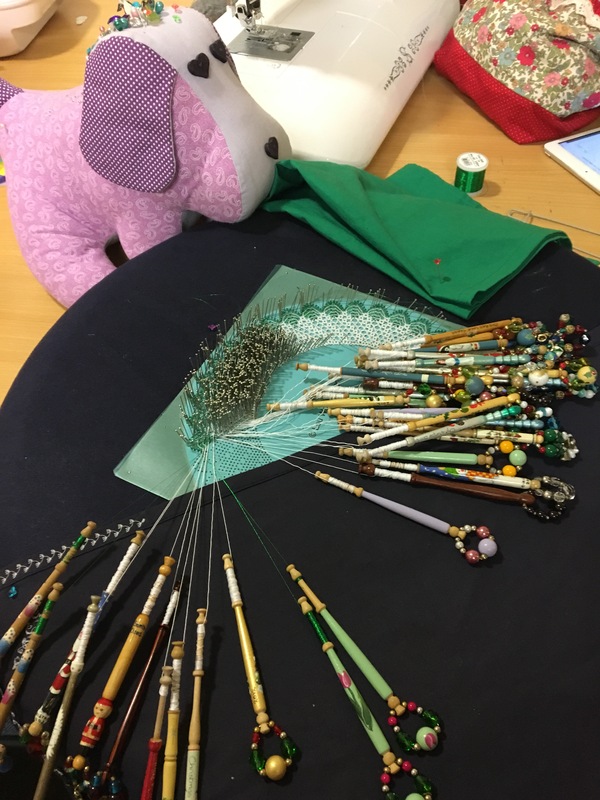 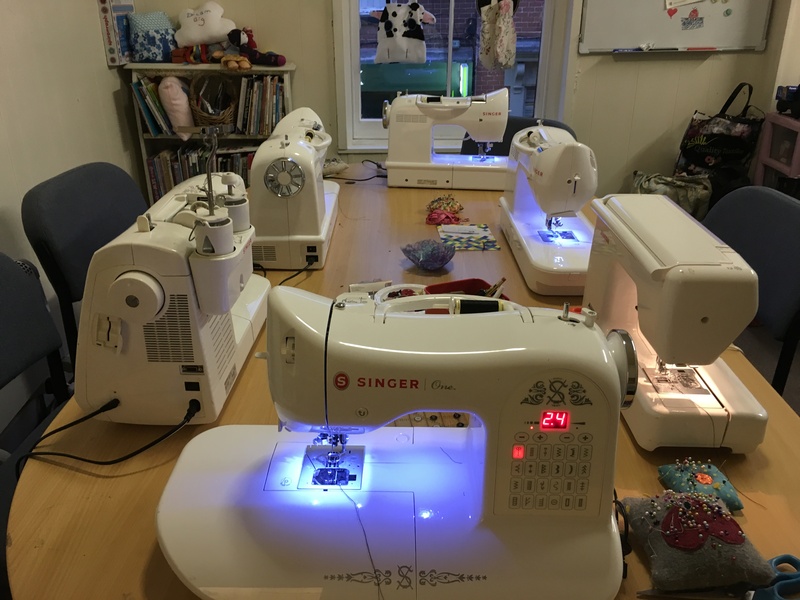 My new group of little ones (are that little they need steps for the pedal) have been getting used to our machines and have made pin cushions…. 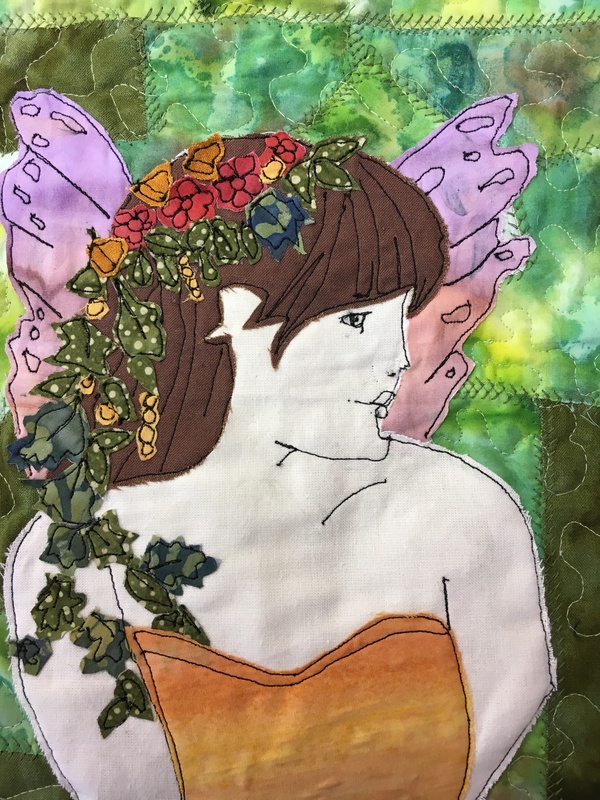 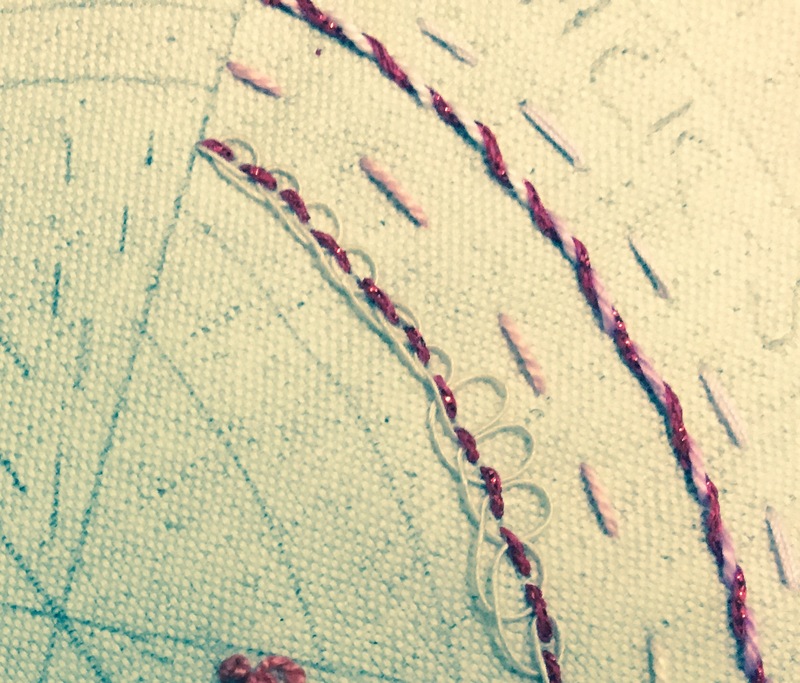 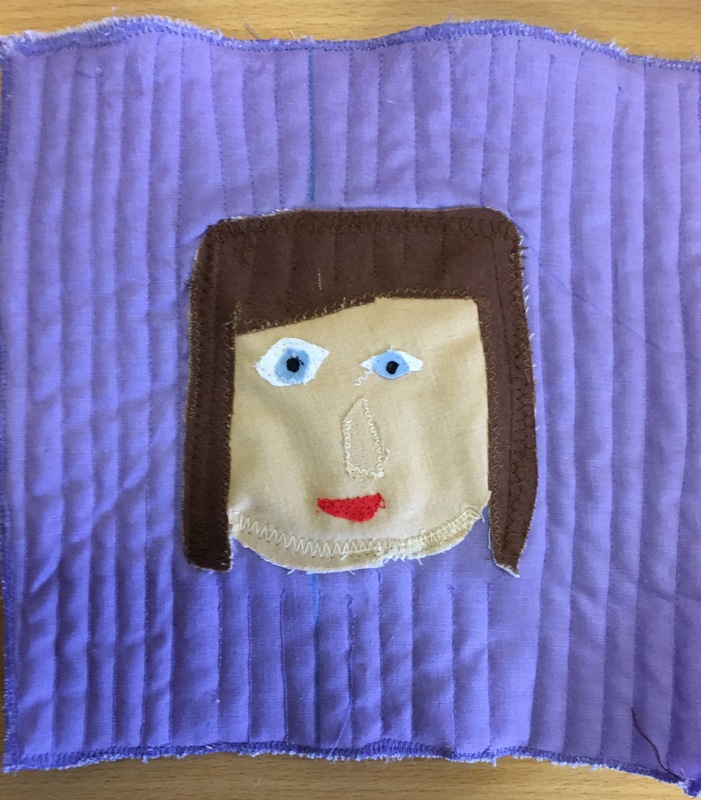 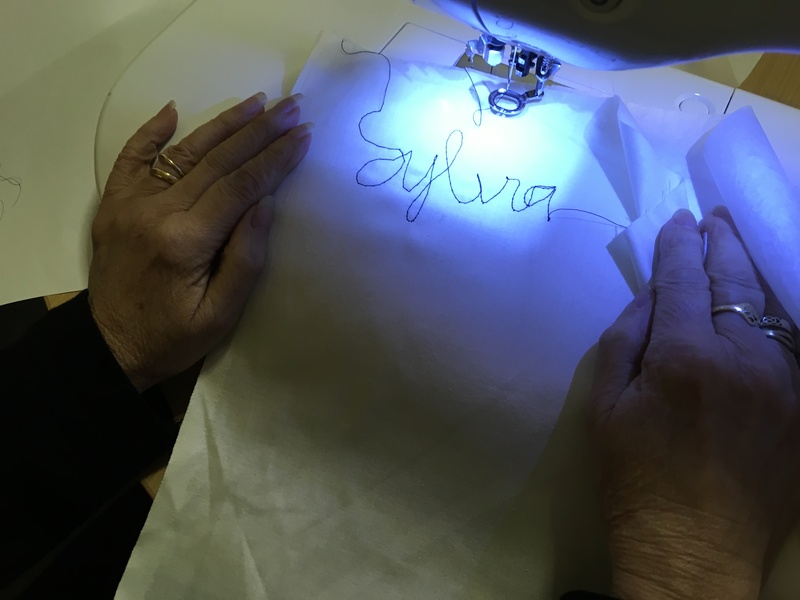 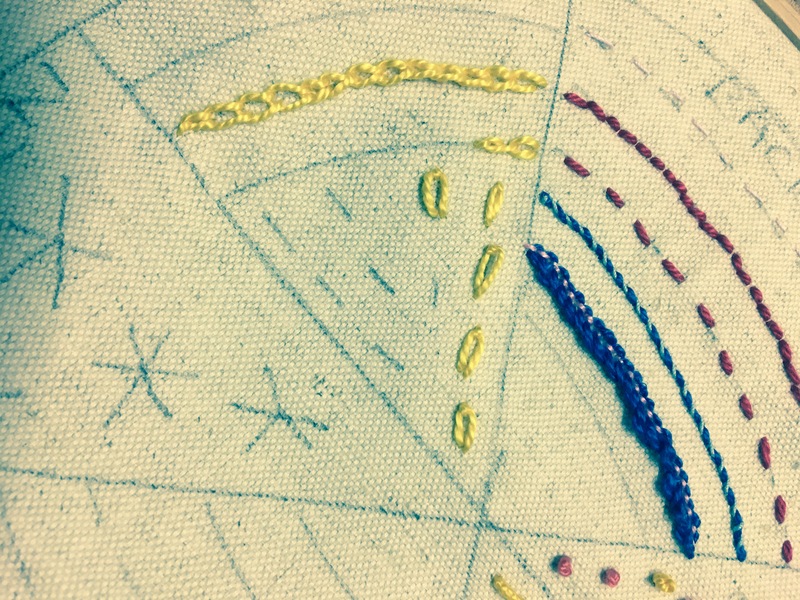 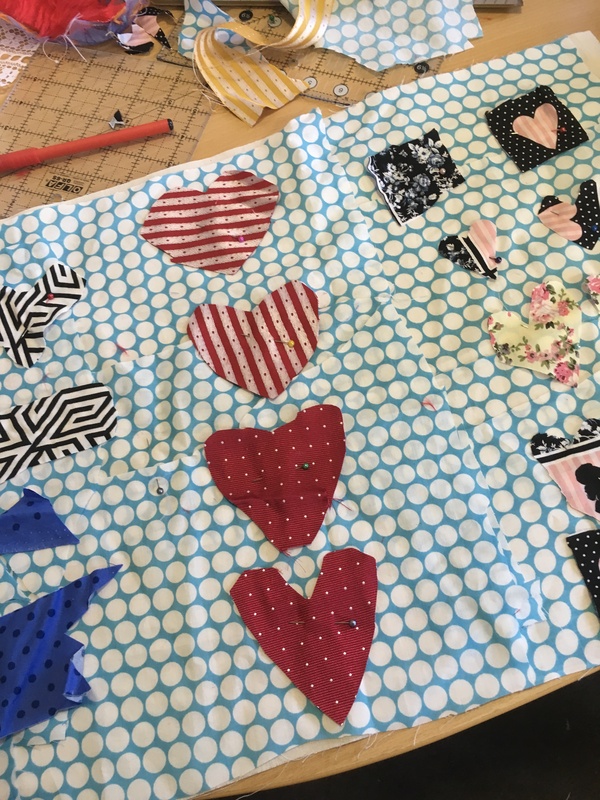 The love of fabric continues with the 2nd part of our quilting course. 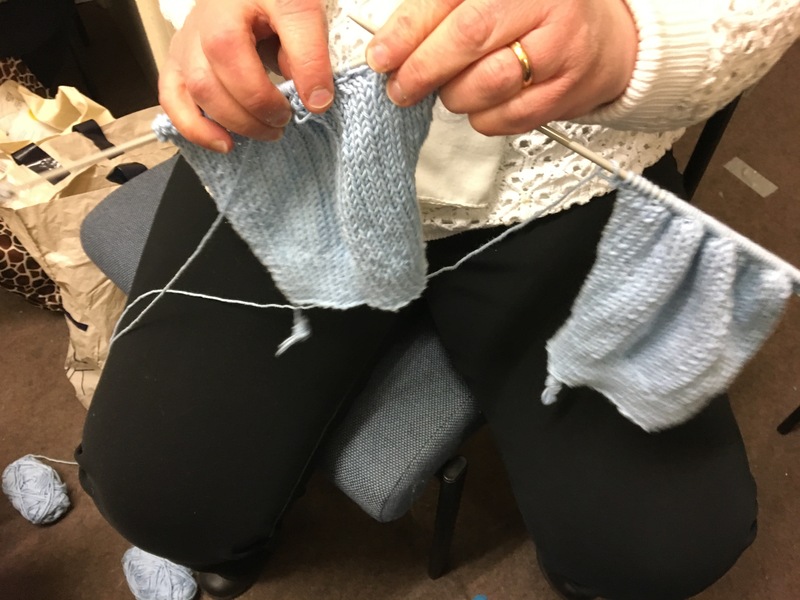 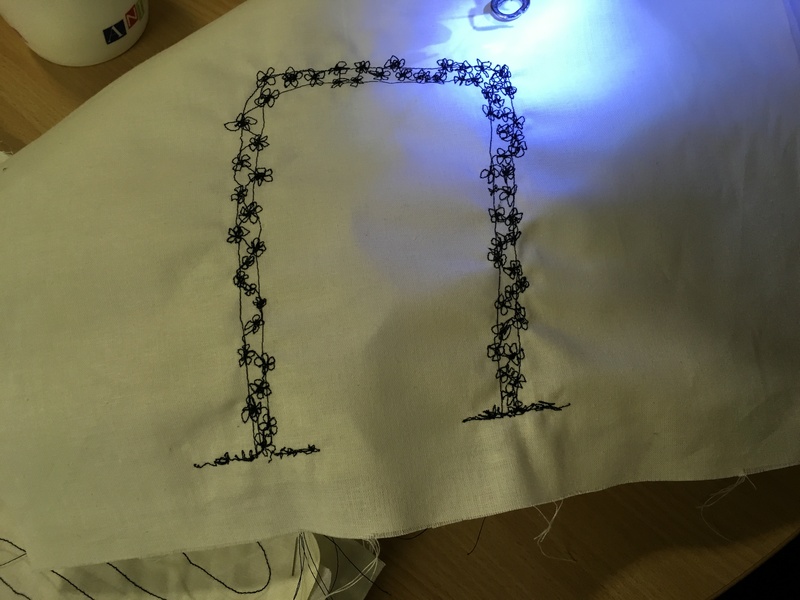 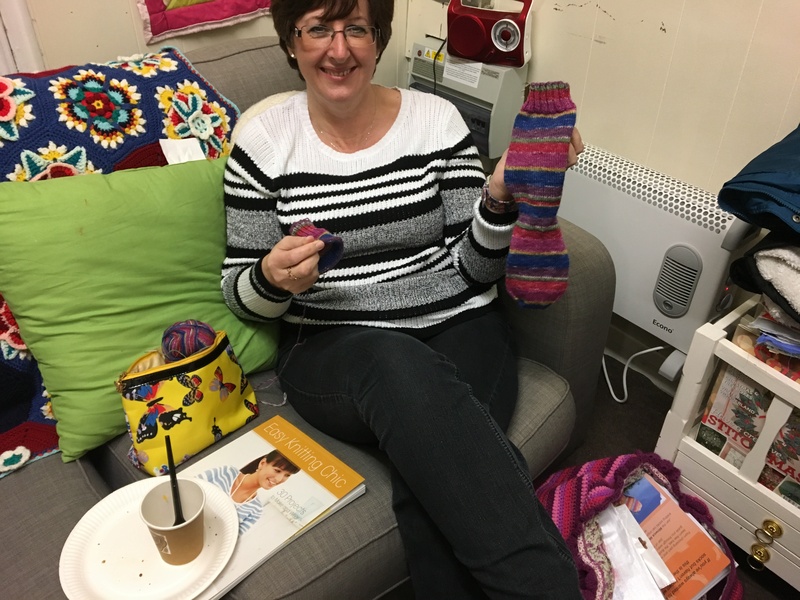 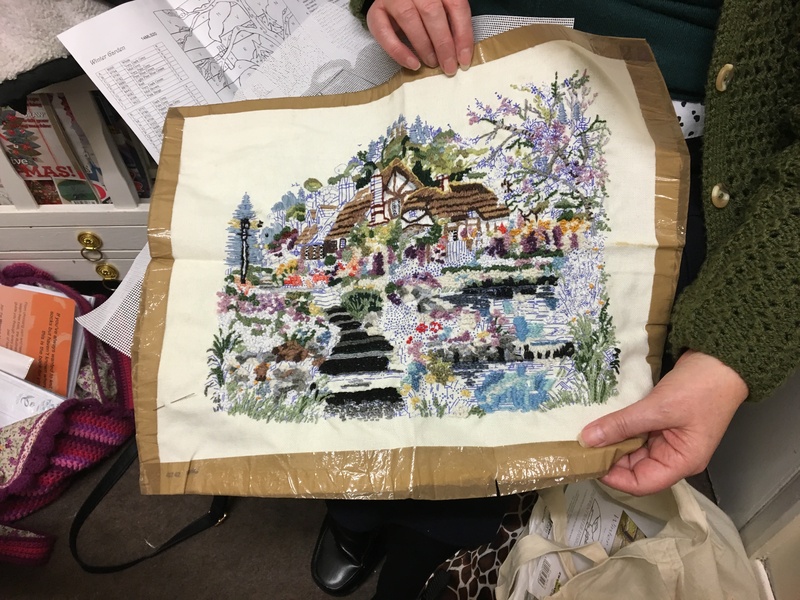 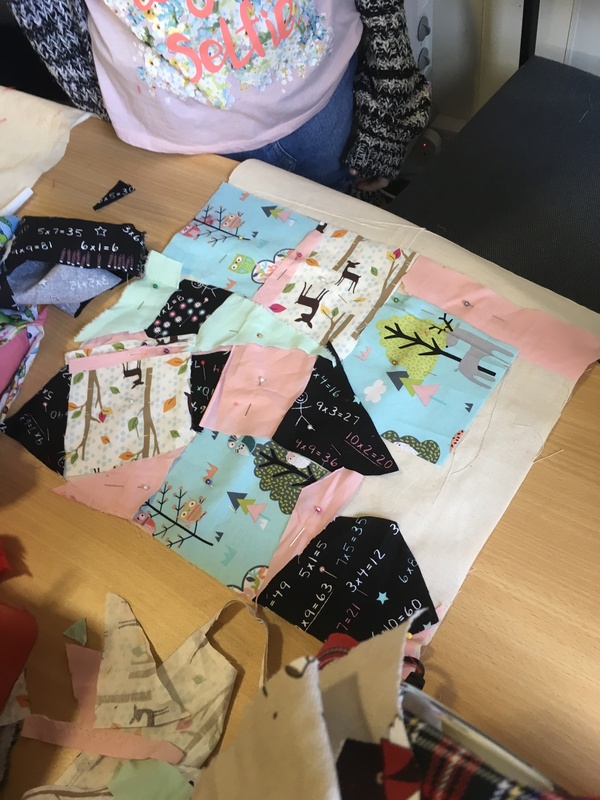 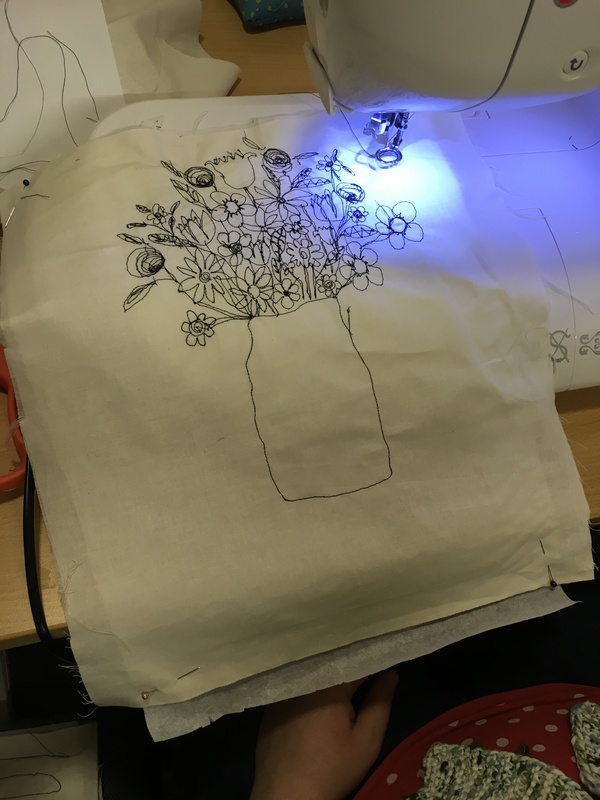 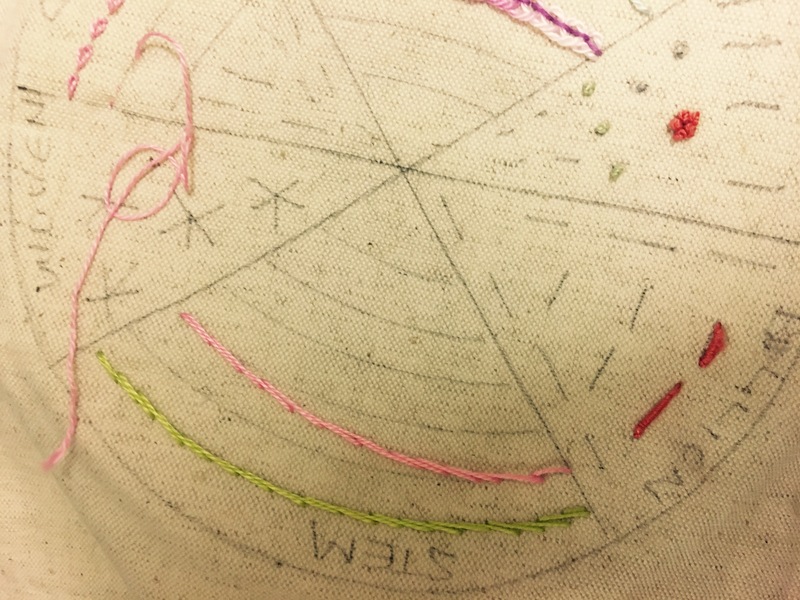 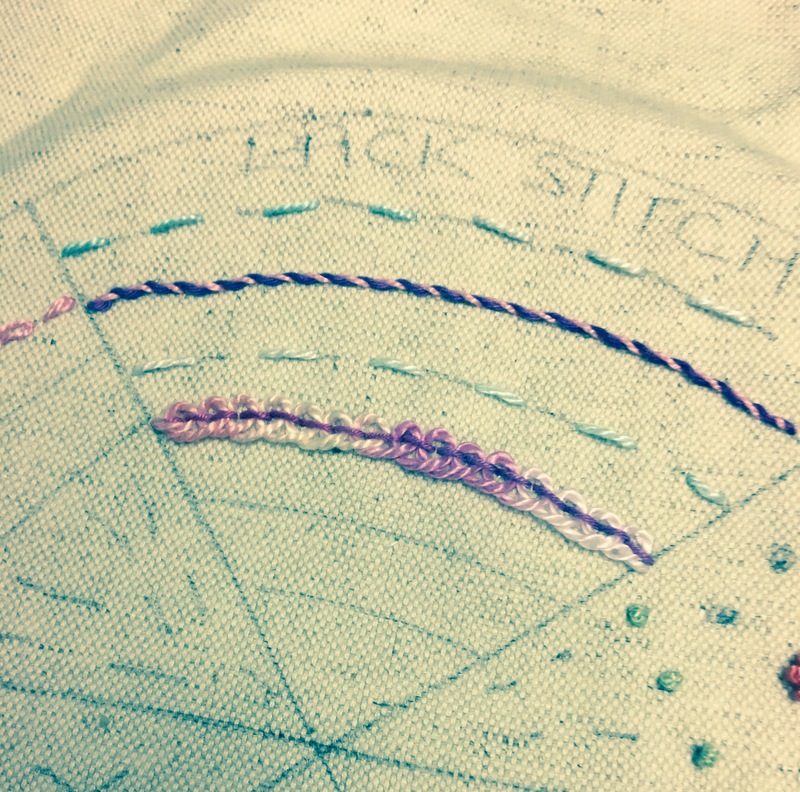 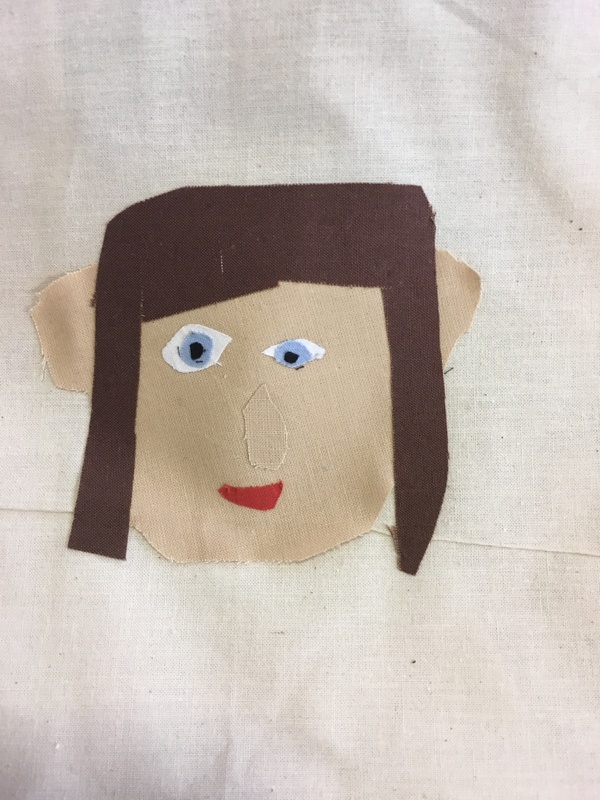 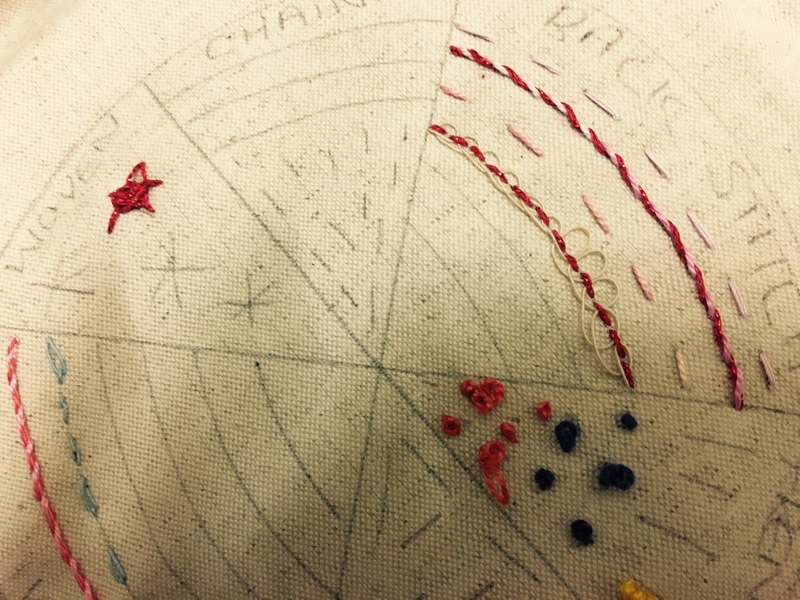 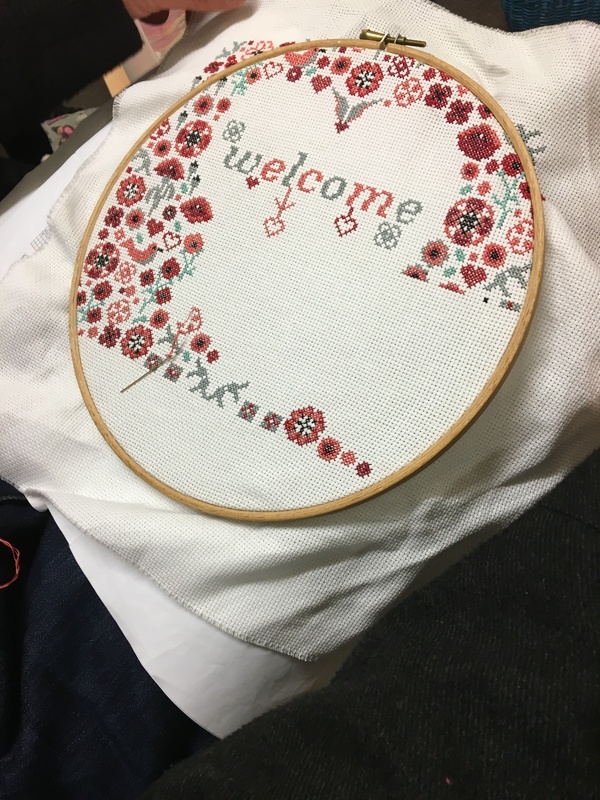 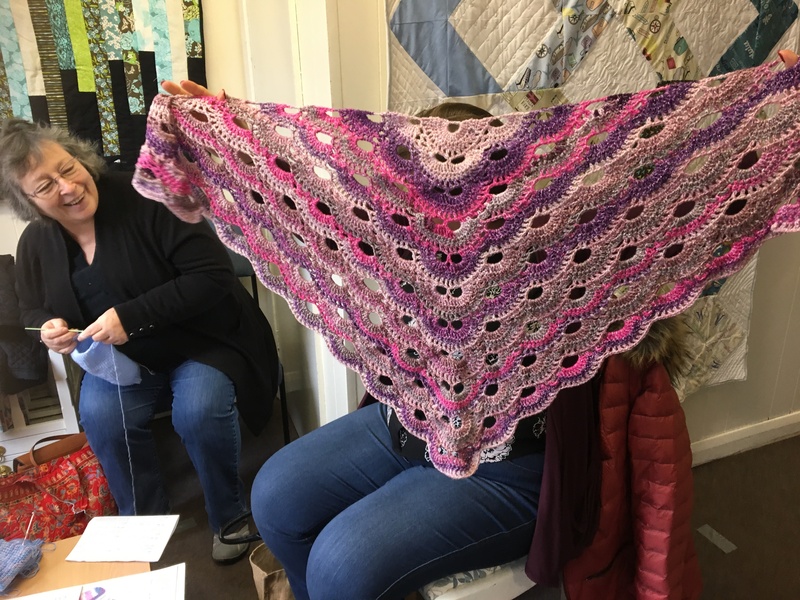 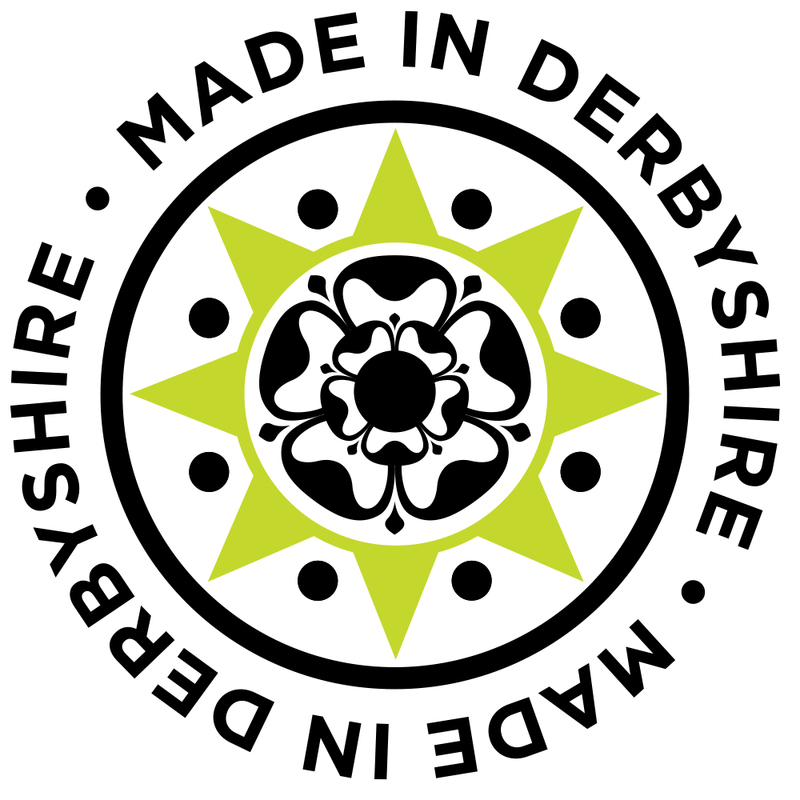 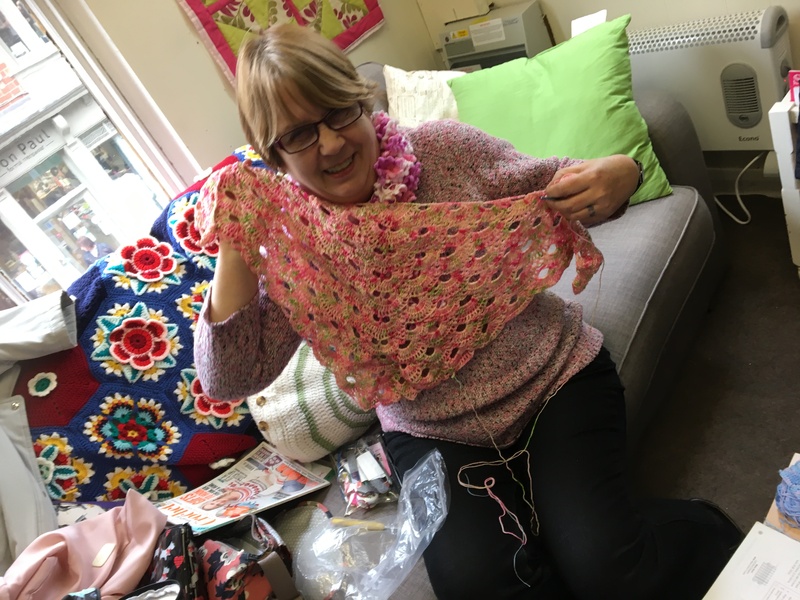 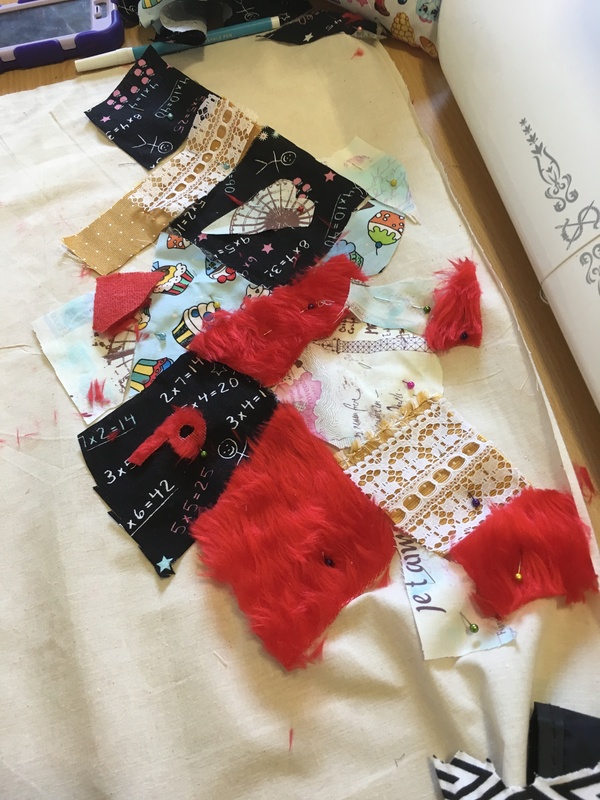 This week it was all about piecing the top layer and organising the design…..
Our Craft and Chat night was back this week and I can honestly say we have a lovely and extremely talented bunch. 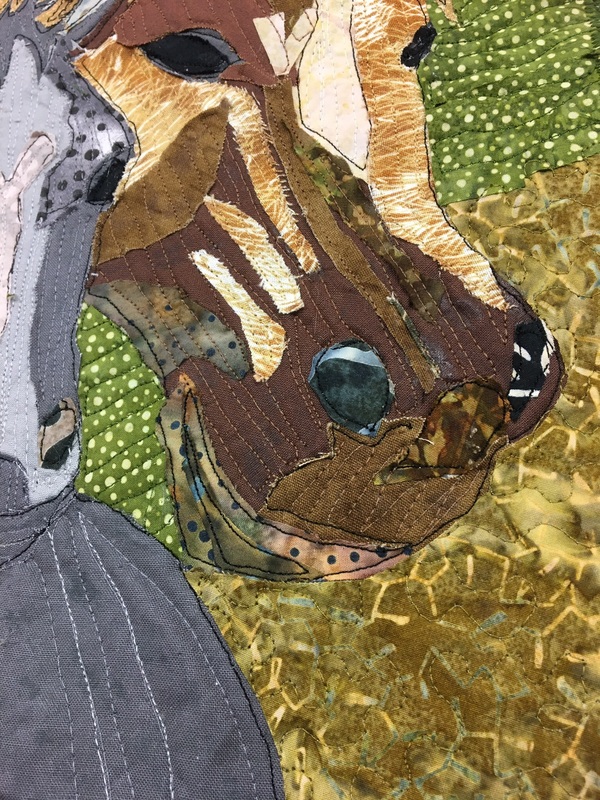 Ive been doing a little bit too this week and putting together some quilted textile collages using Hand dyed and batik fabrics…..
That’s it for this week….lots happening again next week again next week. 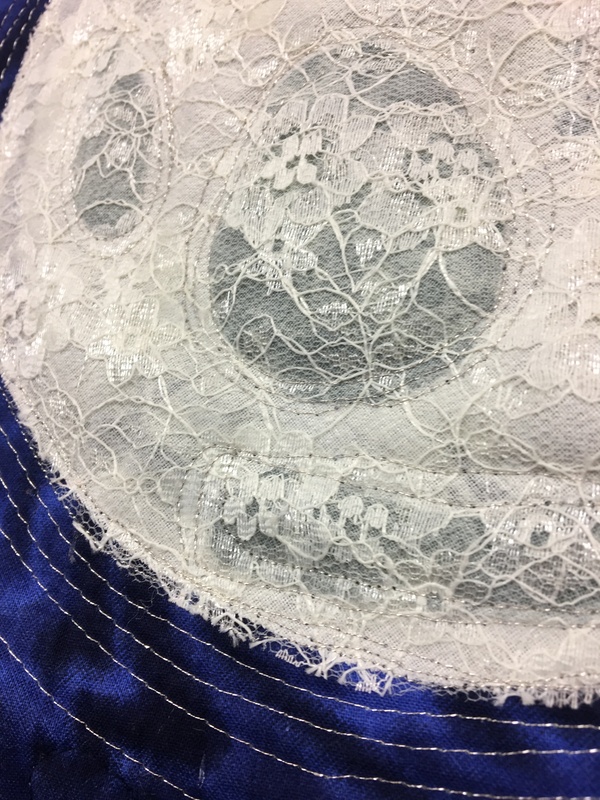 Thank you following and supporting us.